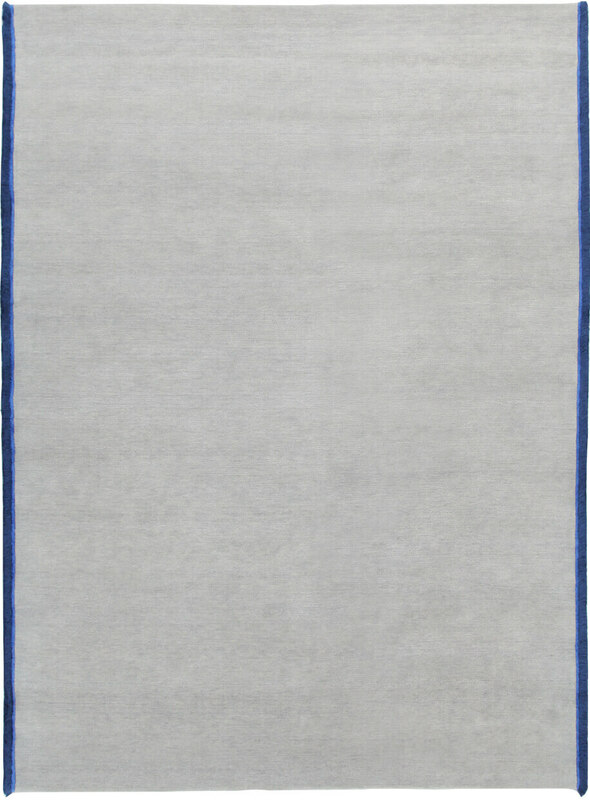 Masters. 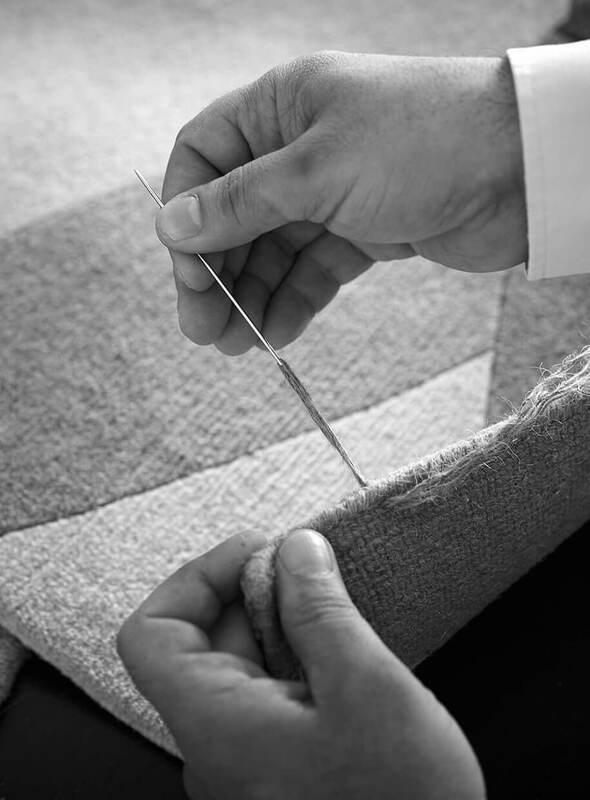 While different with regard to generation, training, experience, and legacy, what unites them is a self-same project: a kind of unfettered, personal quest, indeed, a search for the discovery and development of a dynamic and multifaceted modernity. 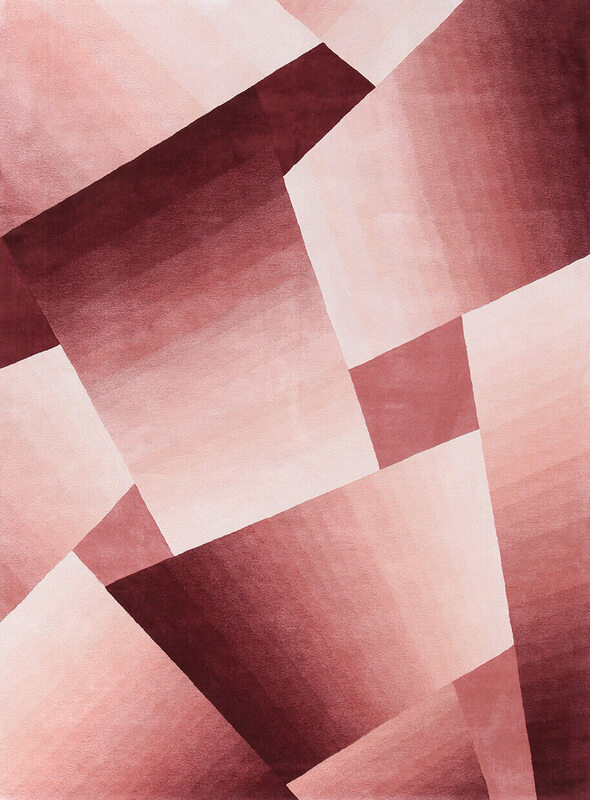 Masters without limiting their investigation, they have dabbled with all kinds of artistic and technical forms - painting, architecture, design, applied arts, publishing, film and photography. 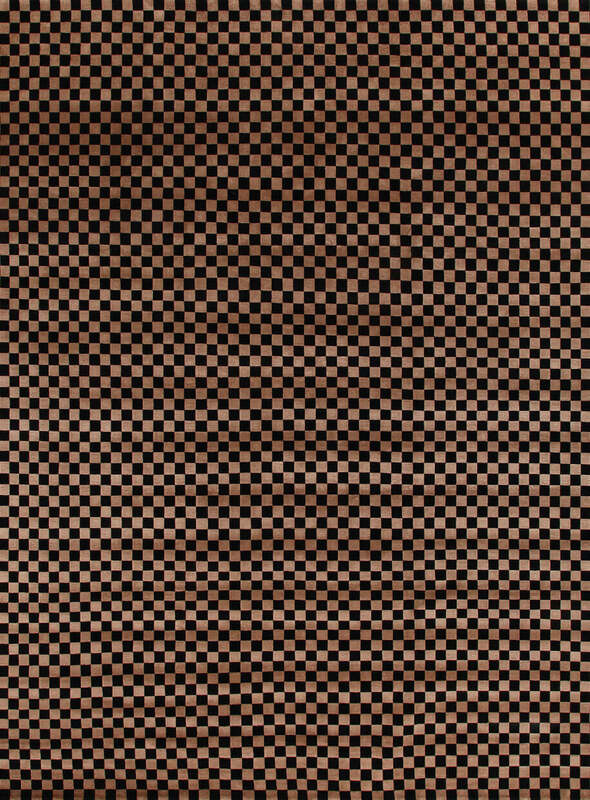 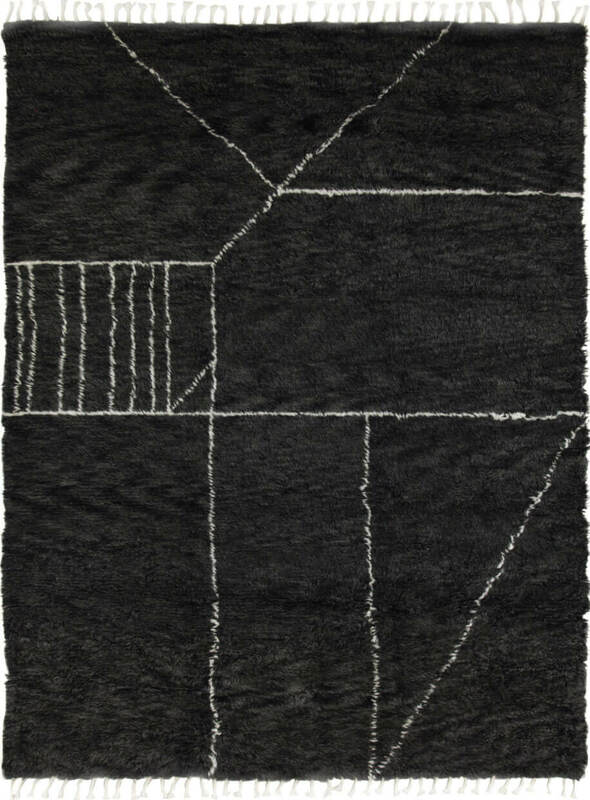 Contemporary Collection devoids any traditional iconographic references, placing experience in the use of raw materials and in the different processing techniques at the service of the maximum creative freedom. 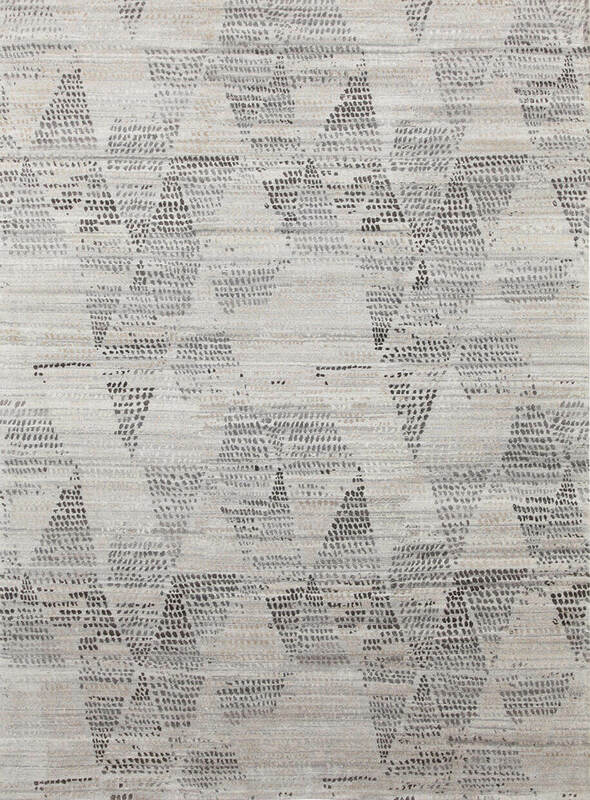 This is also a collection that brings together the result of the creative dialogue between Amini Studio and external collaborators, belonging to different professional fields. 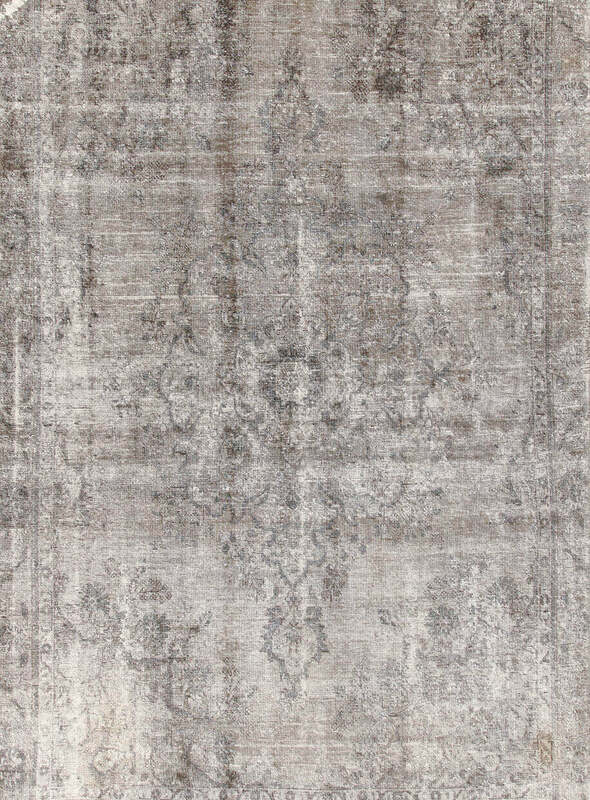 The Classic Collection: rich in memories from the past, the collection enhances contemporary interiors creating new languages of aesthetic, in which the polyphonic tale of the history of the objects defines the overall atmosphere. 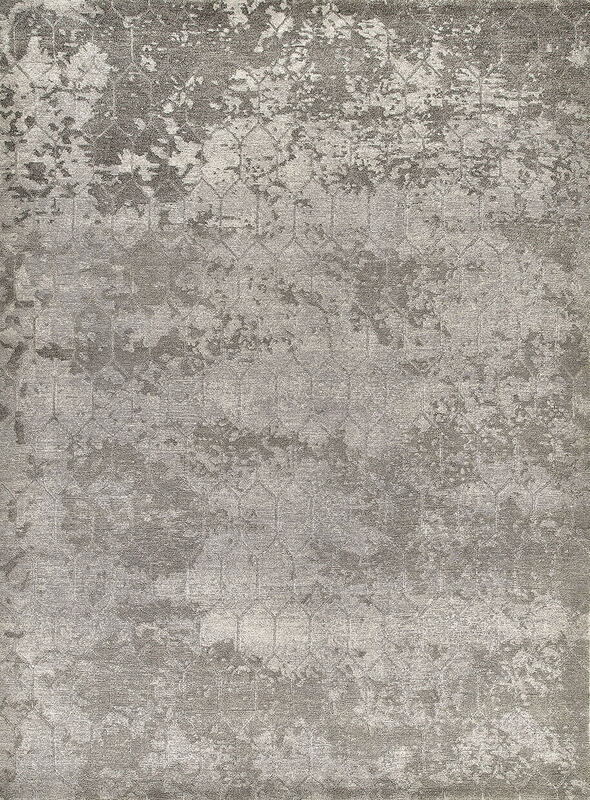 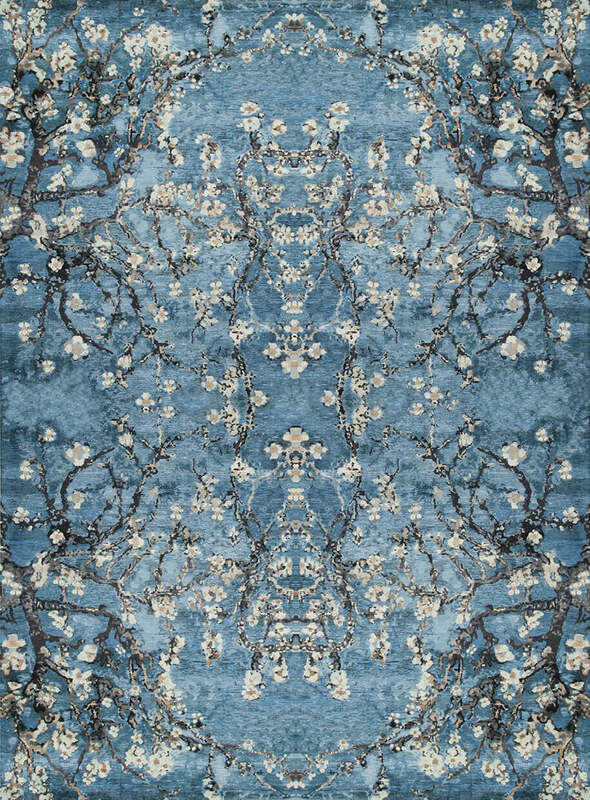 Amini represents the idea of the classic carpet with the new carpets born from the collaboration with Tessitura Luigi Bevilacqua and in Rare Velvet, Tivoli, Bellagio and Mystique carpets. 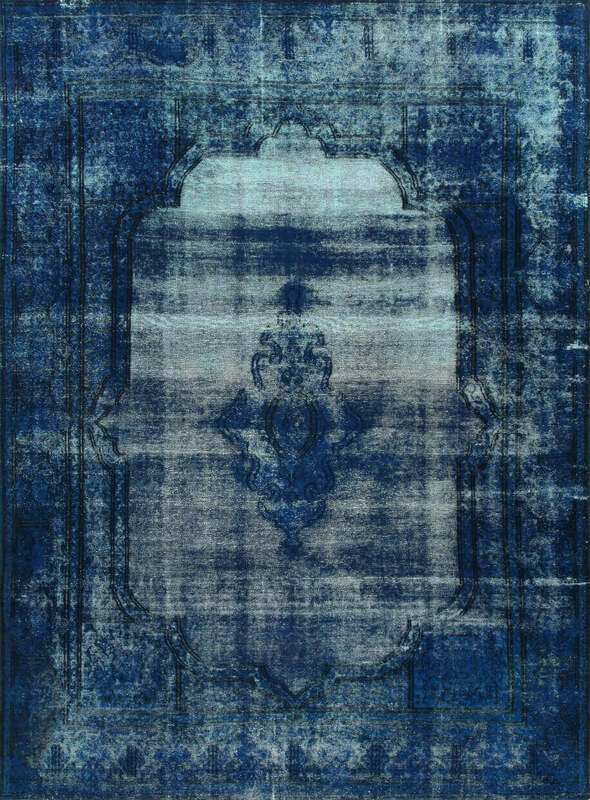 The Wild Silk collection draws inspiration from the most evocative suggestions of breath-taking, natural and exotic scenery, declining them into endless combinations of form and color, as nature itself is wont to do. 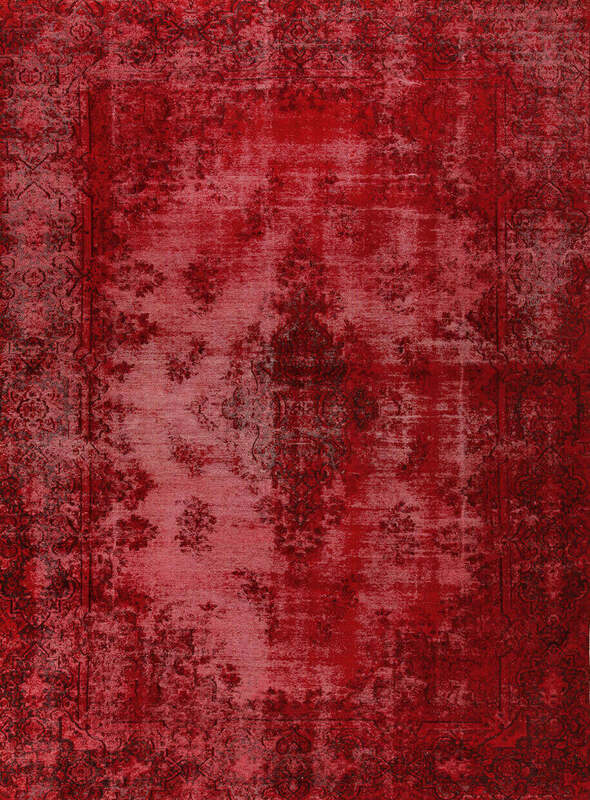 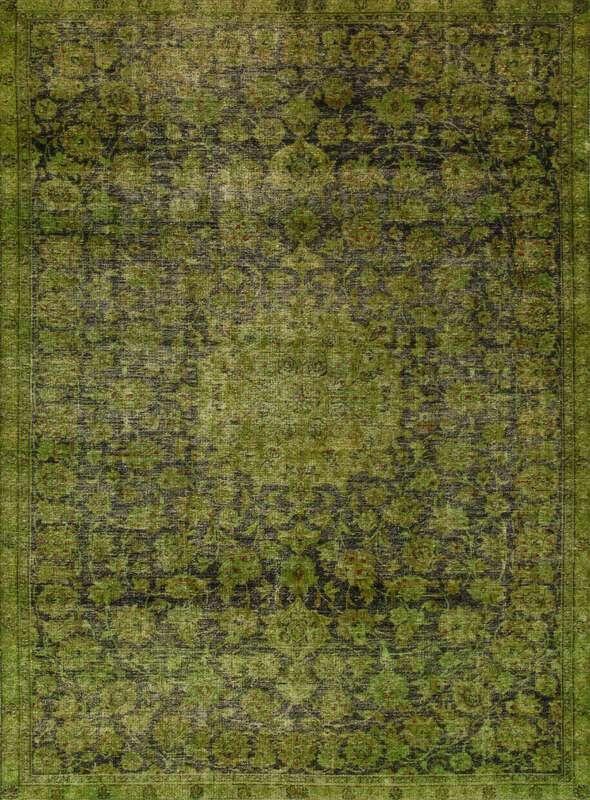 Designed to blend into sober, contemporary spaces, where design is perceived with a fiercely intimate passion, the Wild Silk carpets are irresistibly seductive despite (or perhaps due to) being completely and utterly outside the box. 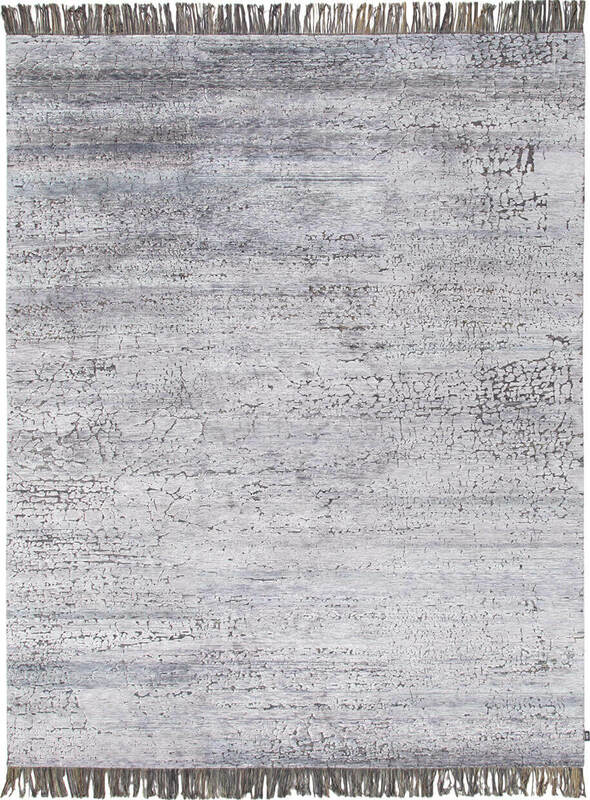 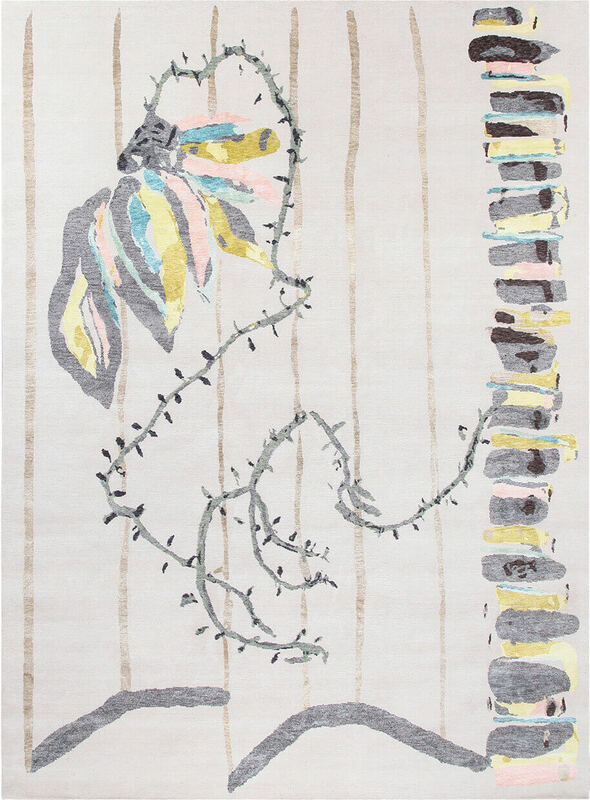 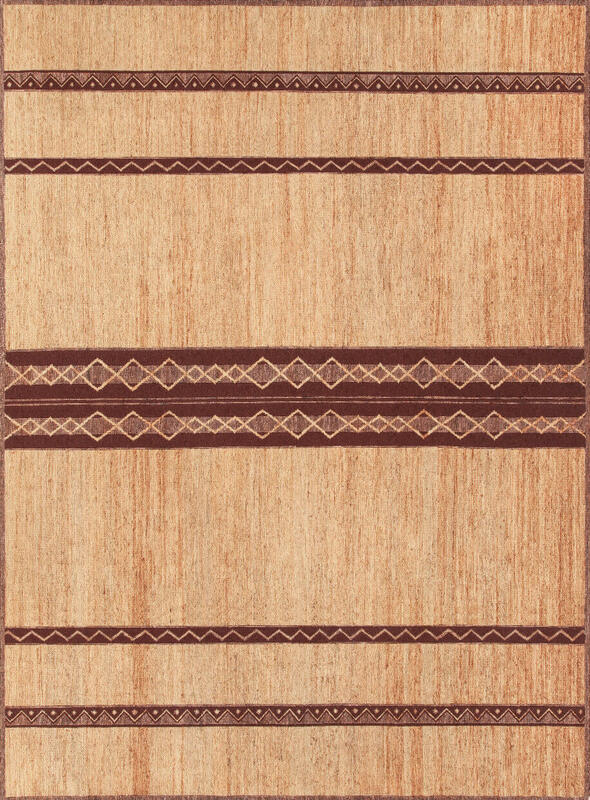 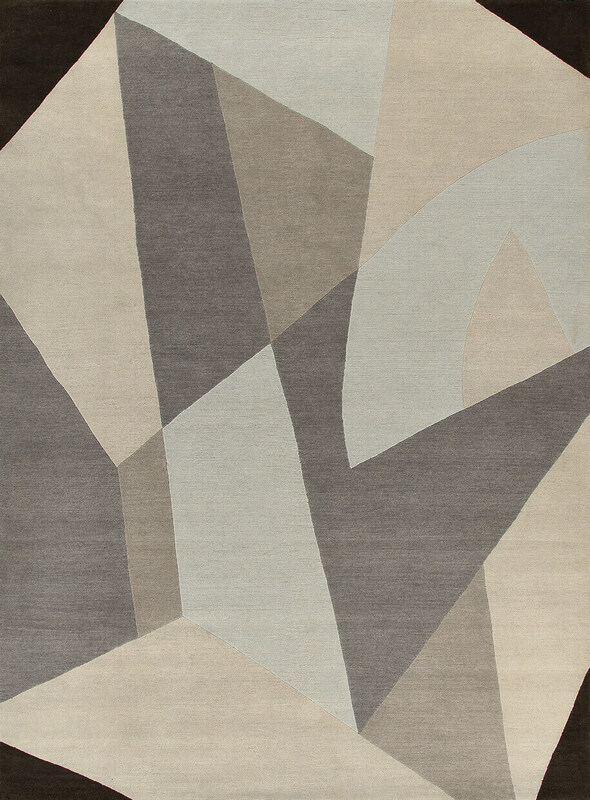 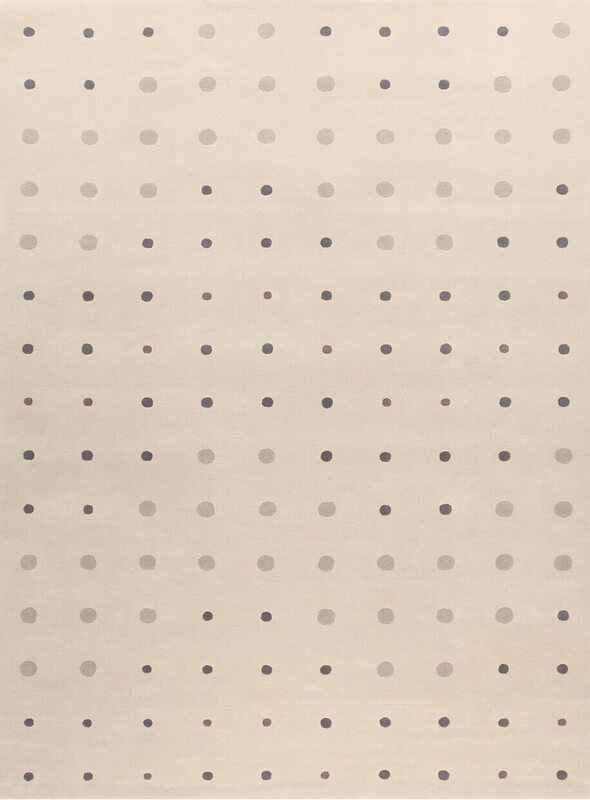 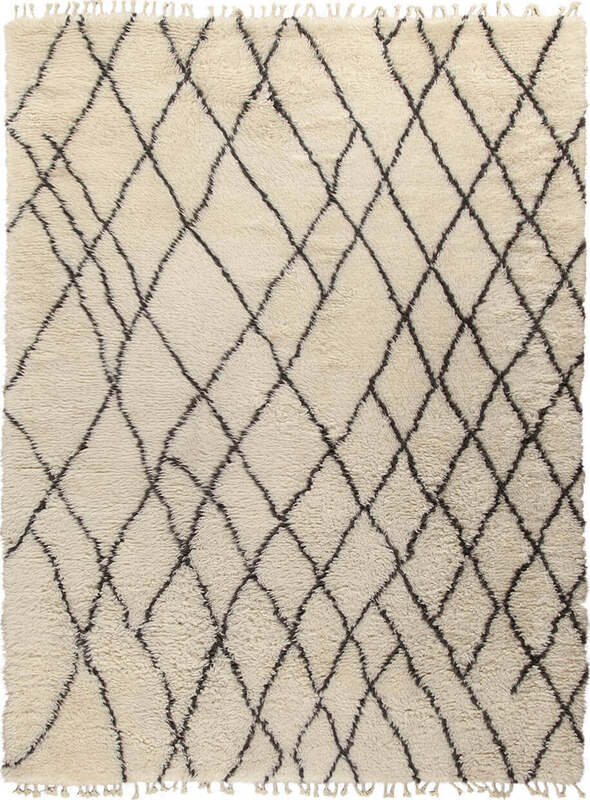 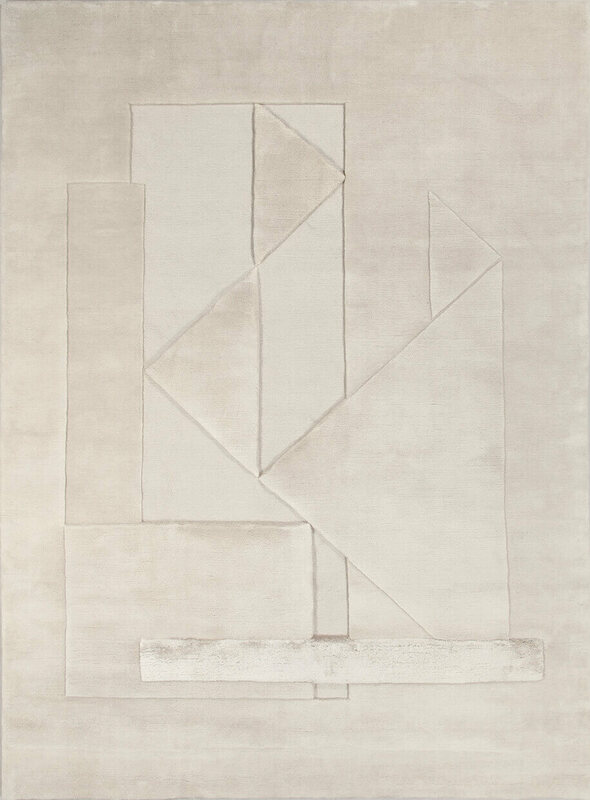 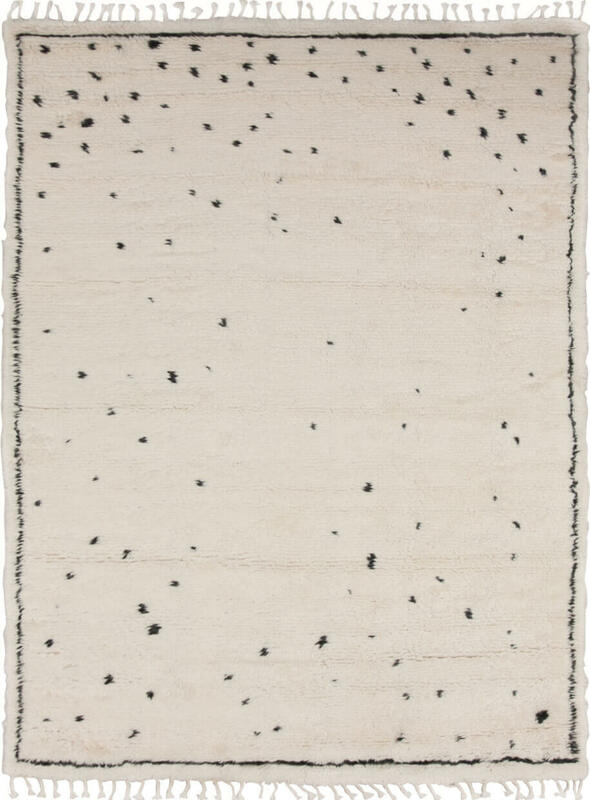 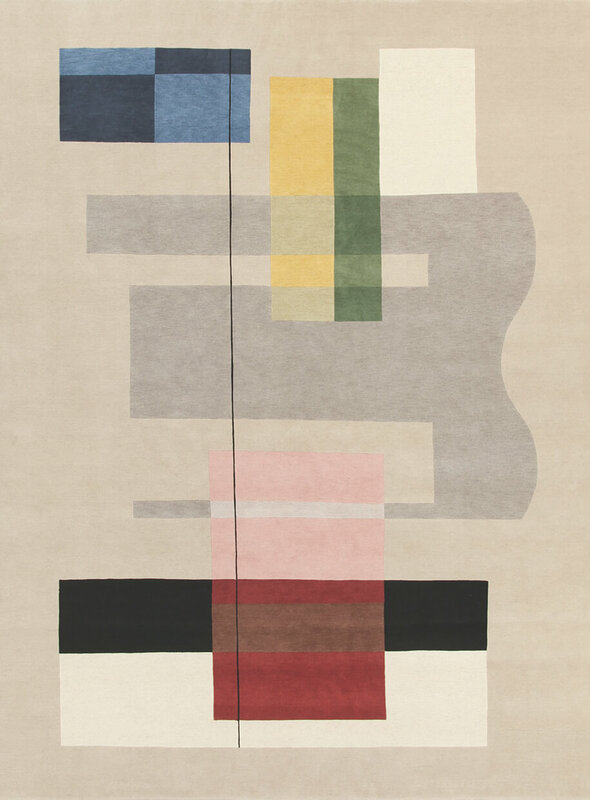 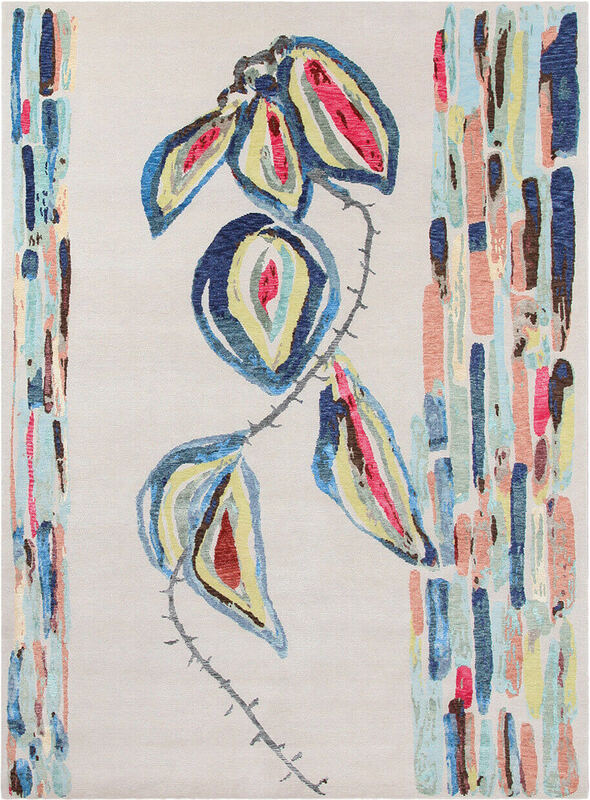 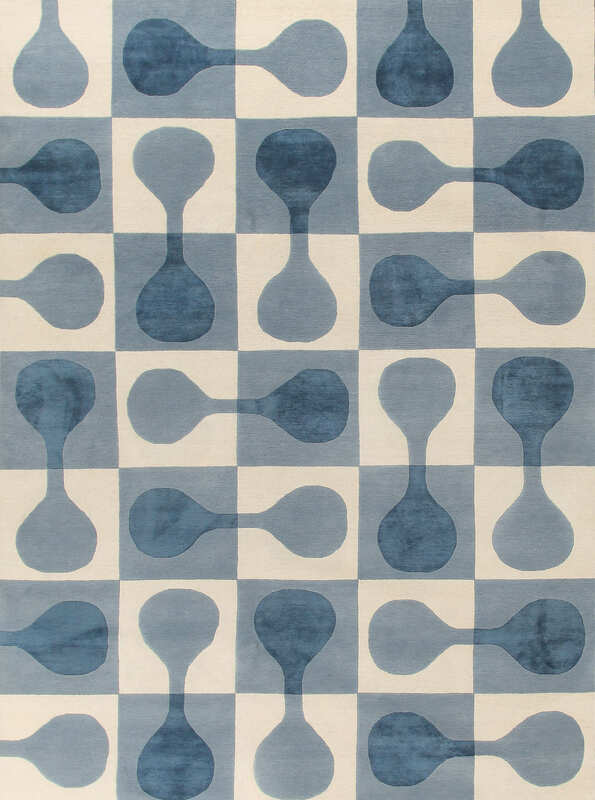 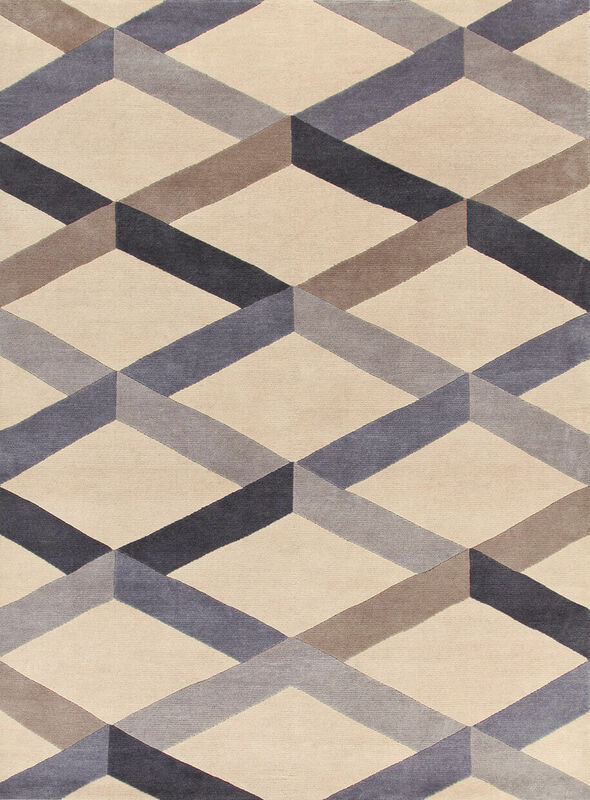 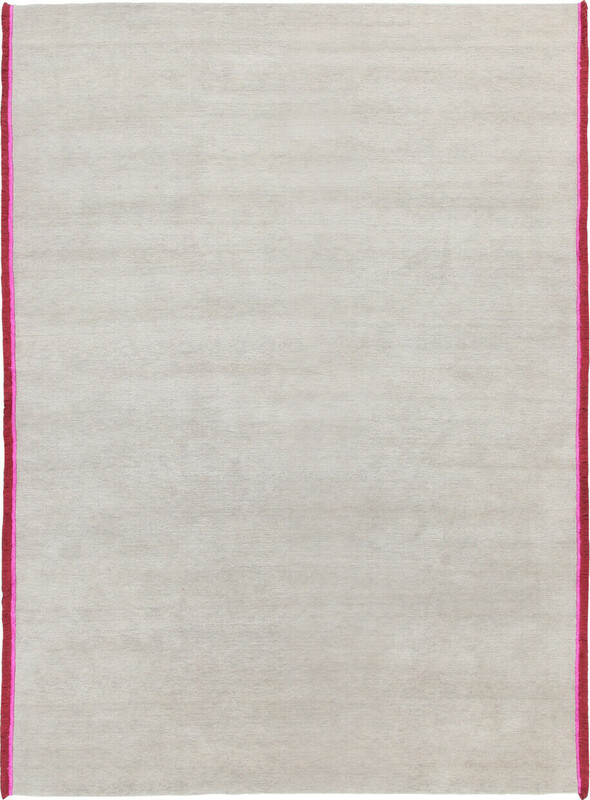 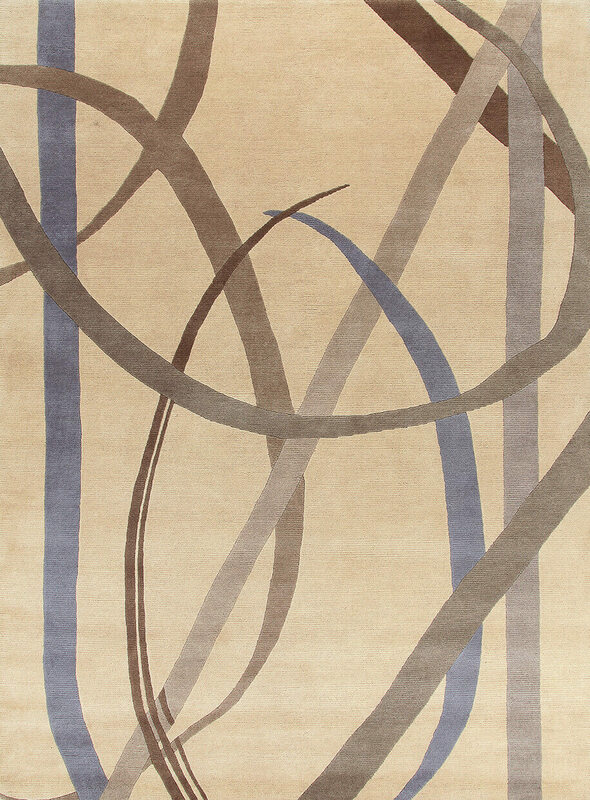 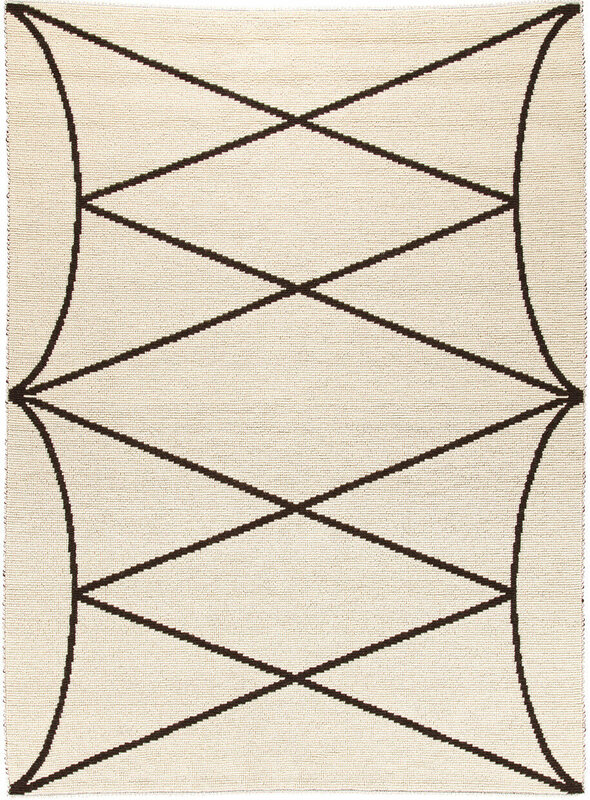 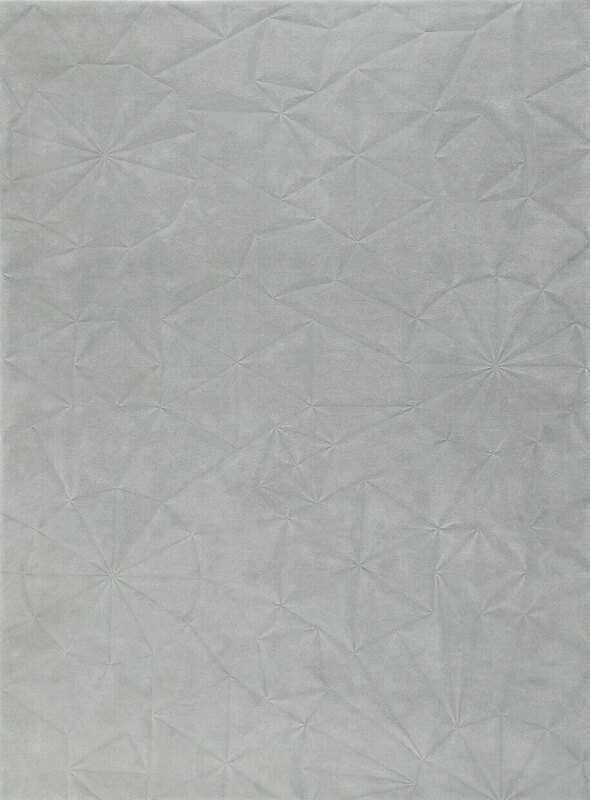 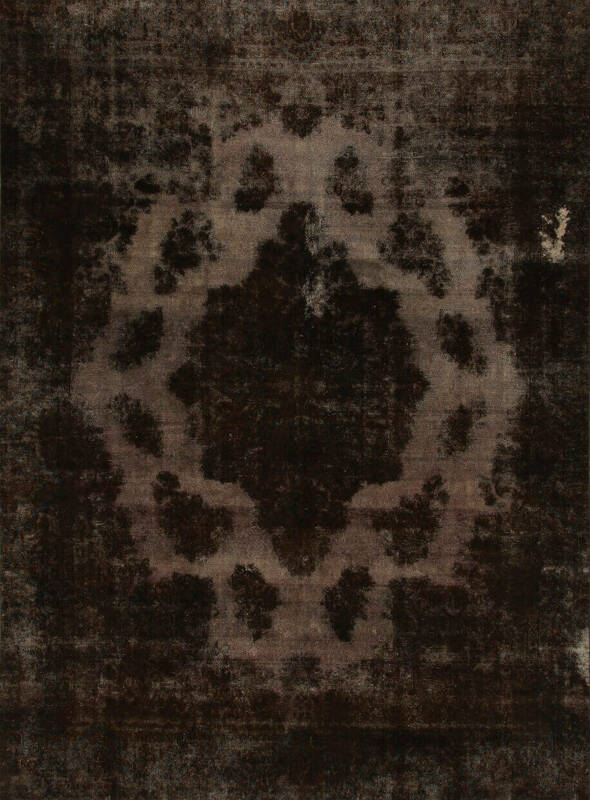 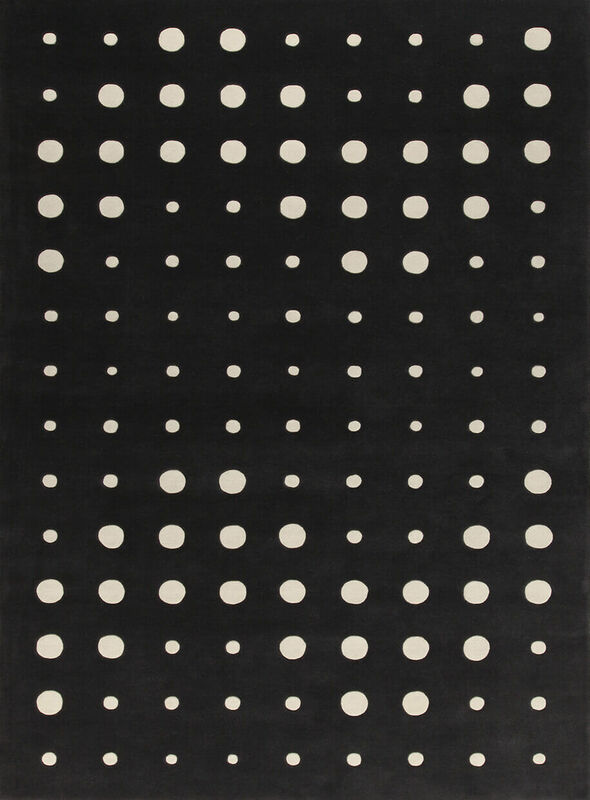 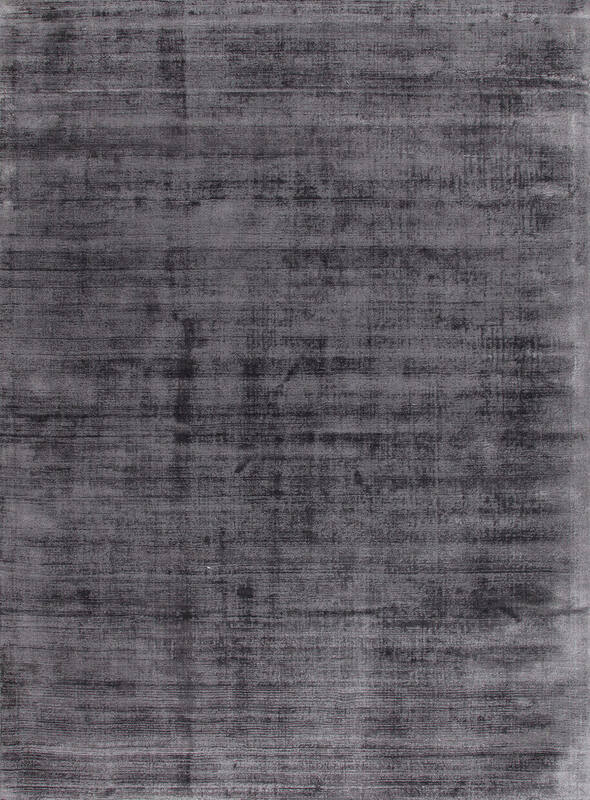 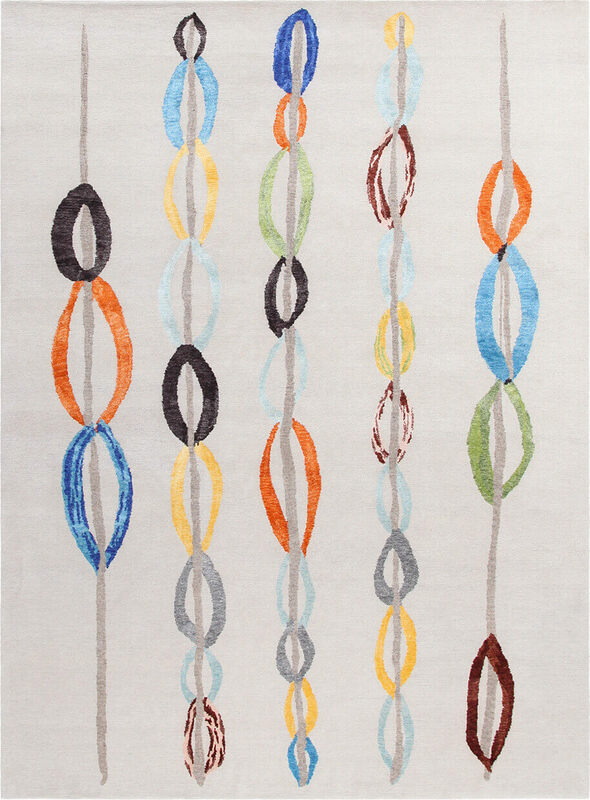 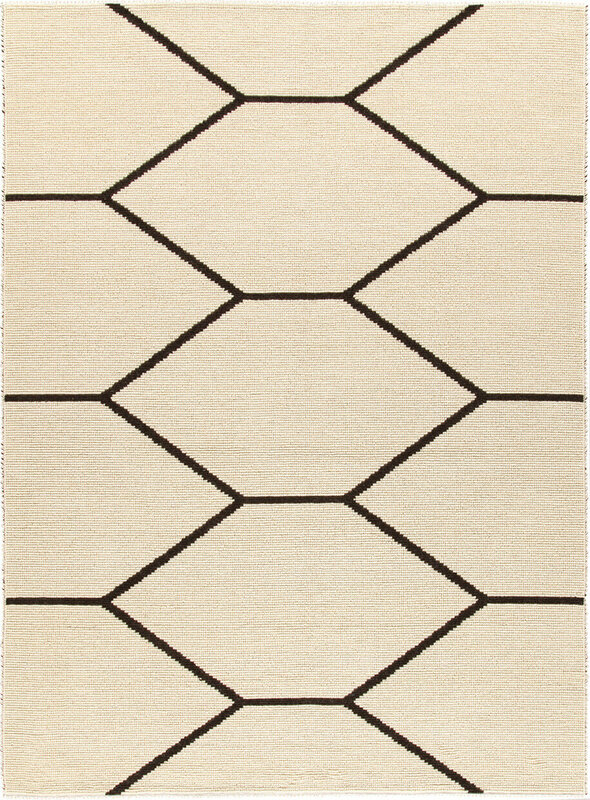 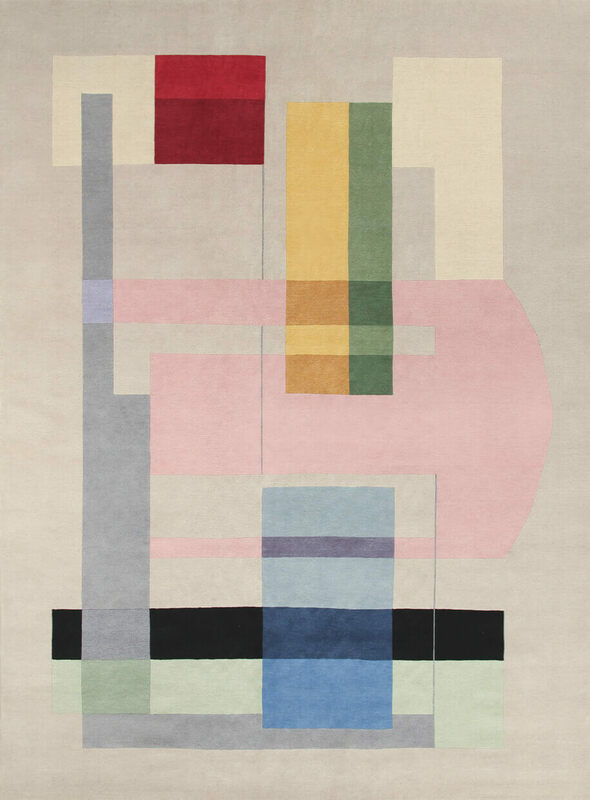 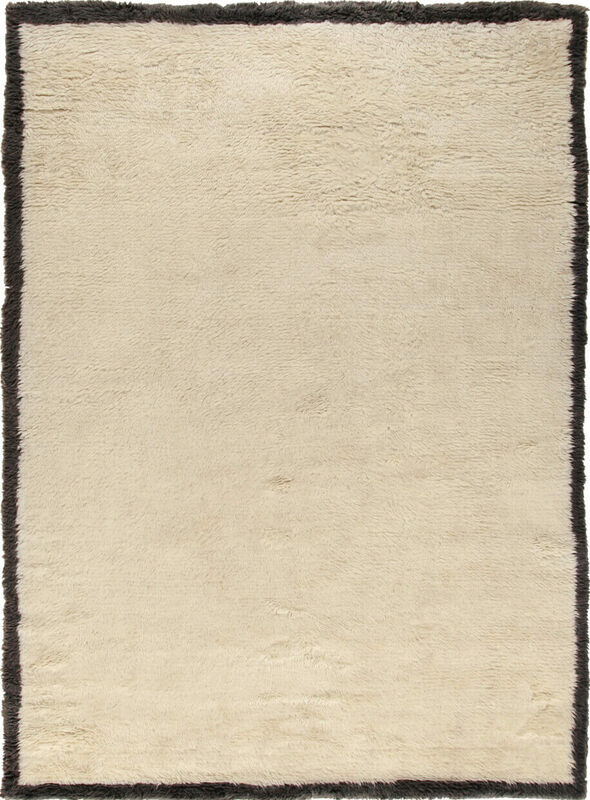 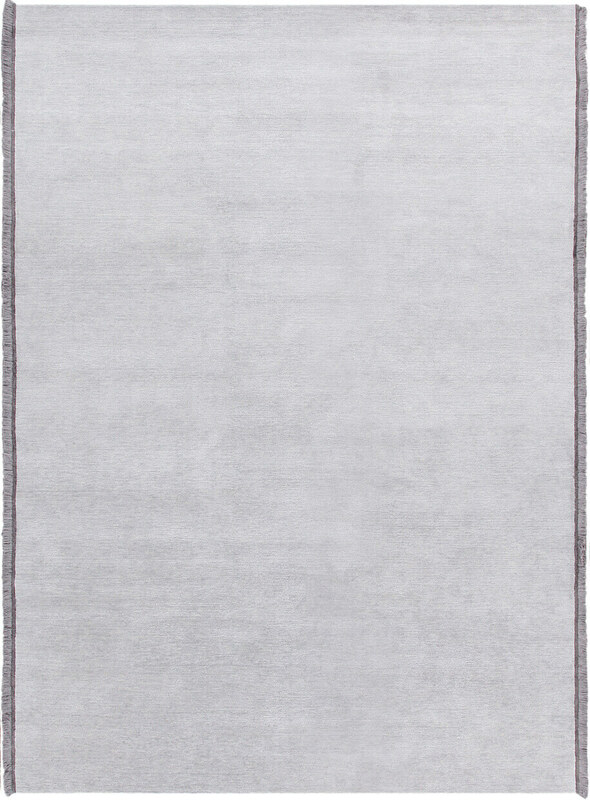 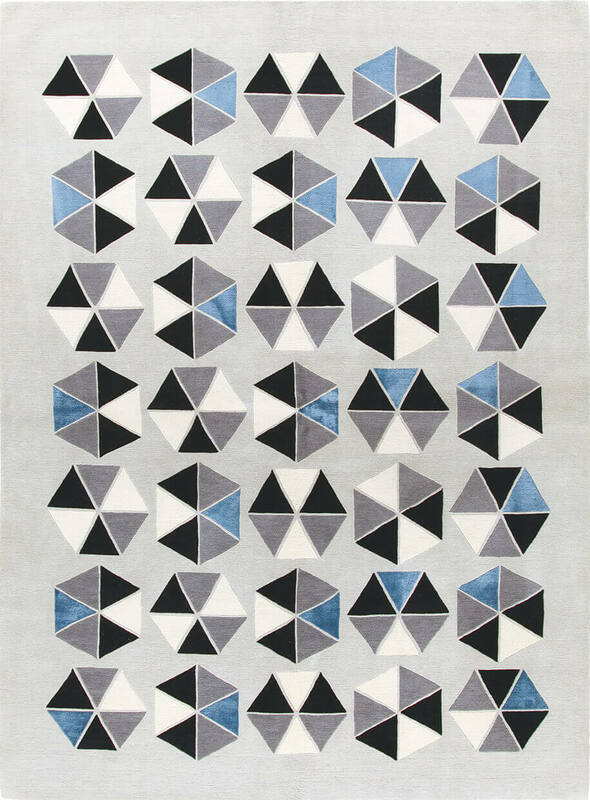 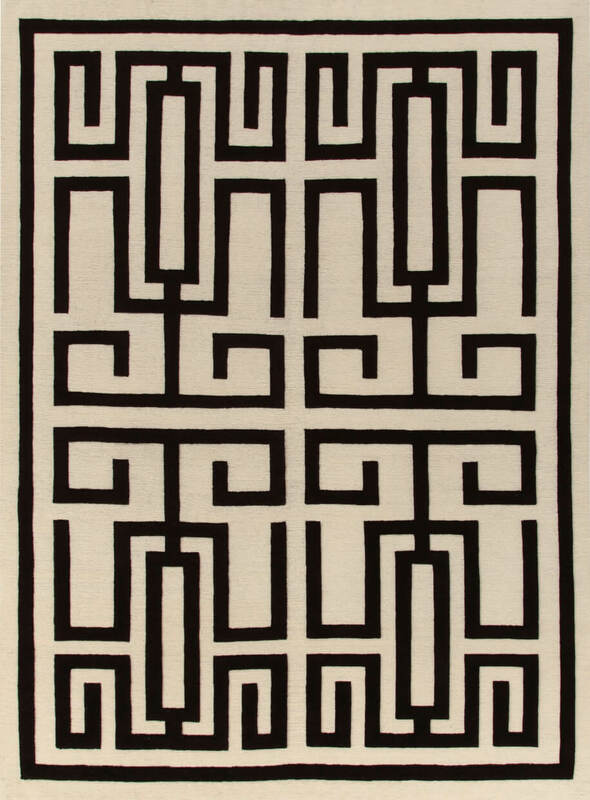 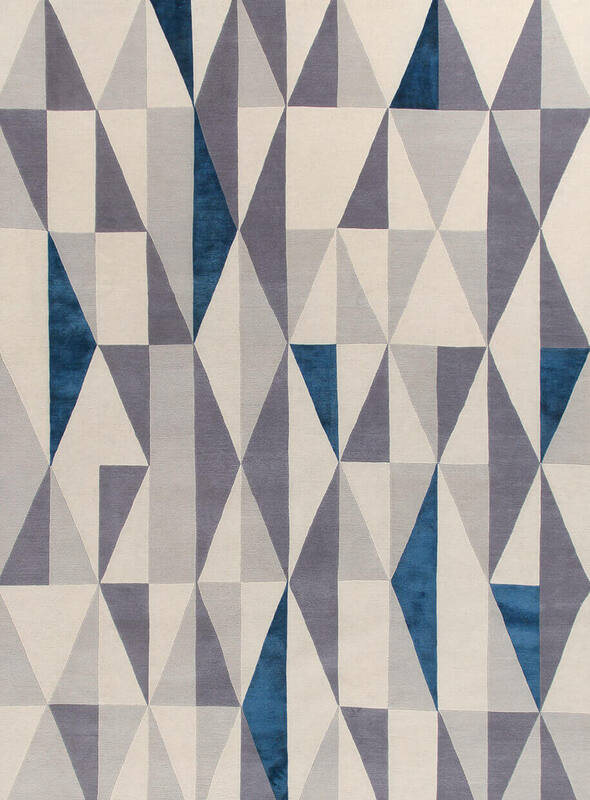 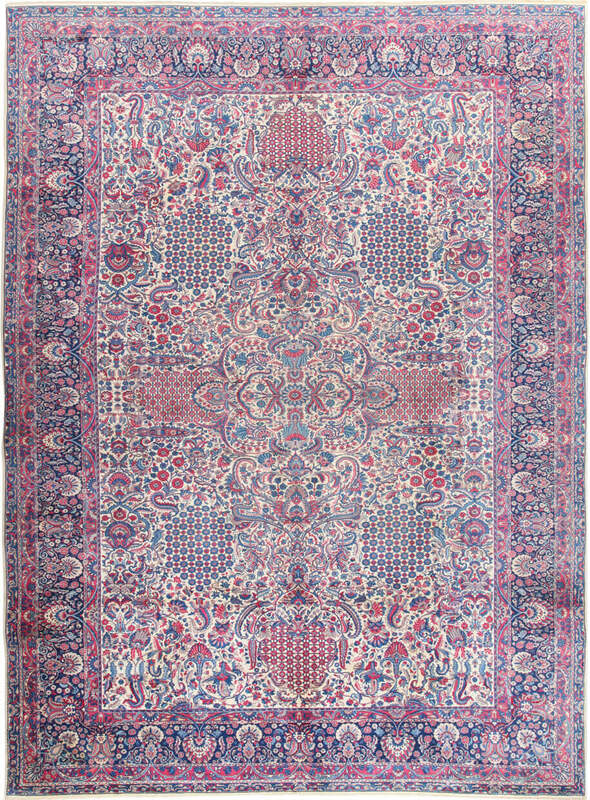 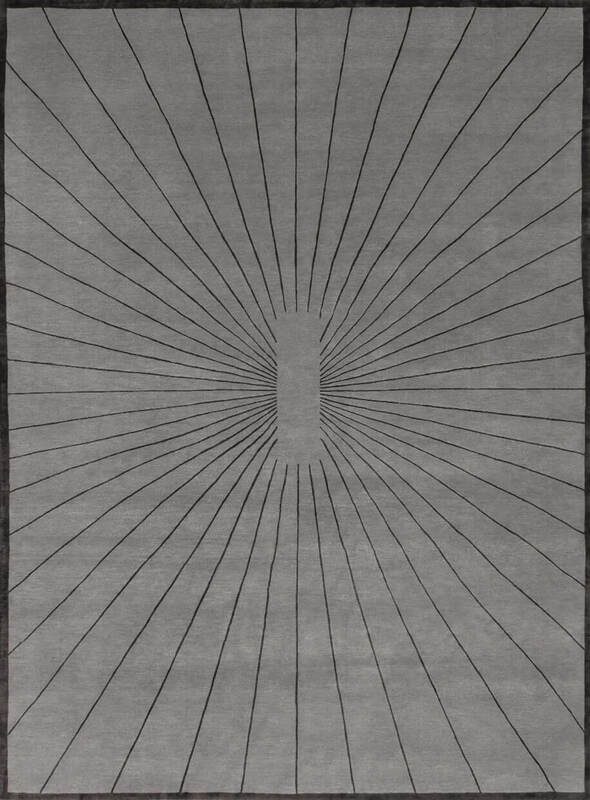 These rugs can speak to us through symbols, abstract geometries and code signs. 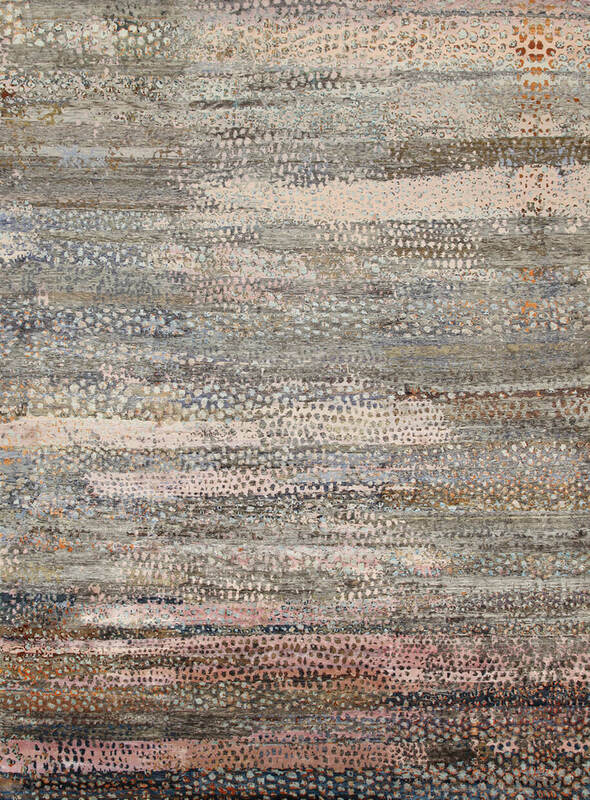 Their natural tones recall the earth, its history and its remains. 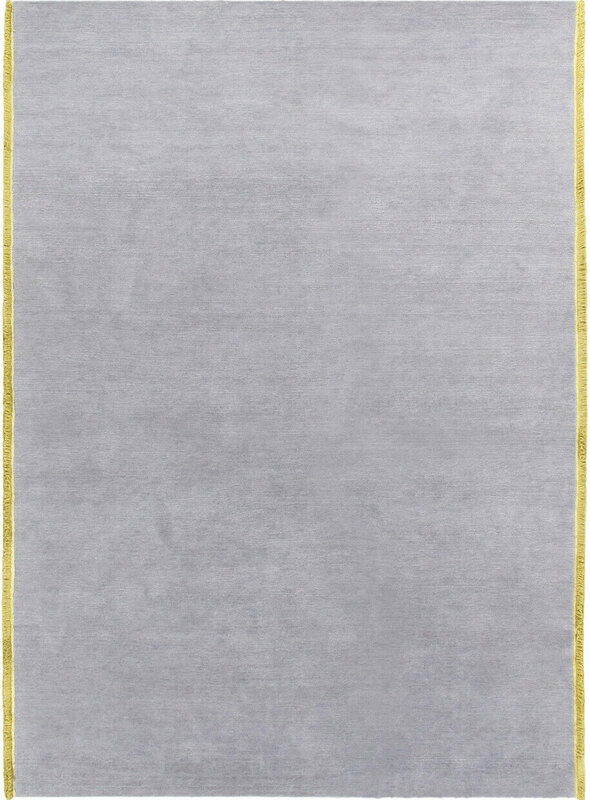 Their decorations are basic, yet mysterious messages sent from ancient ancestors. 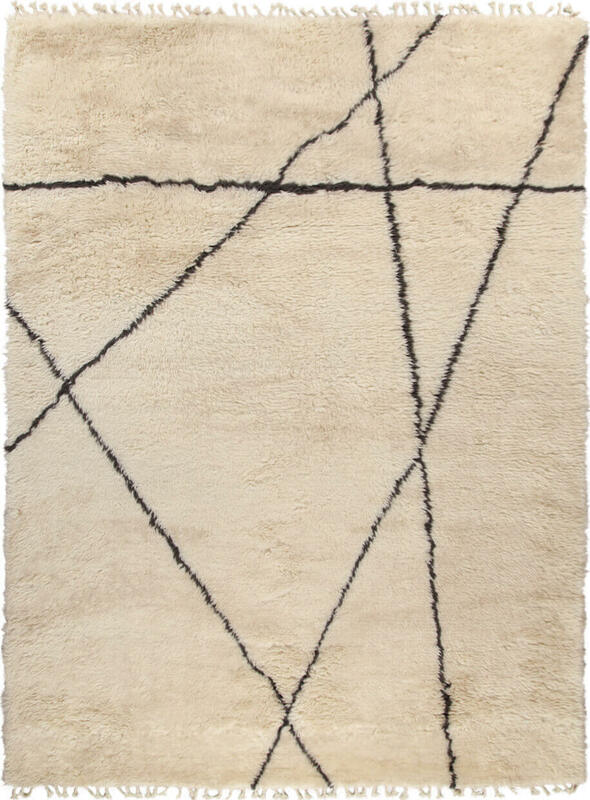 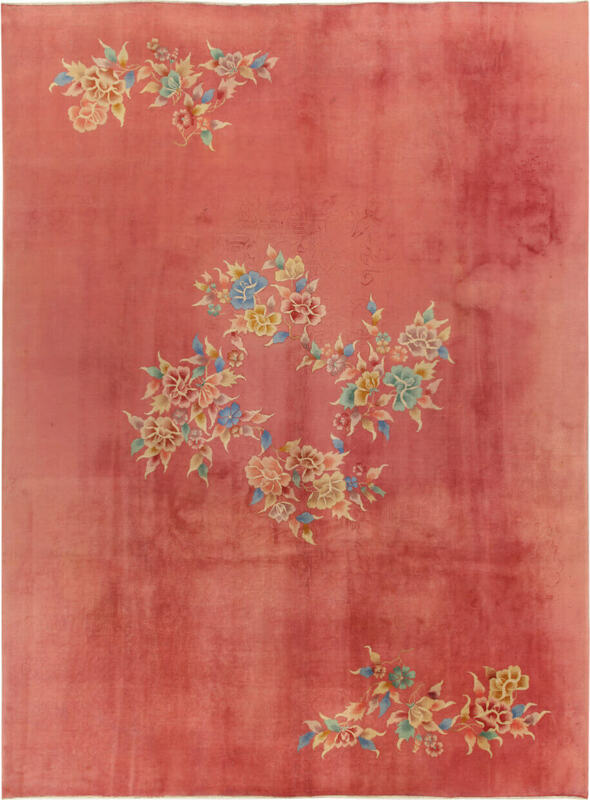 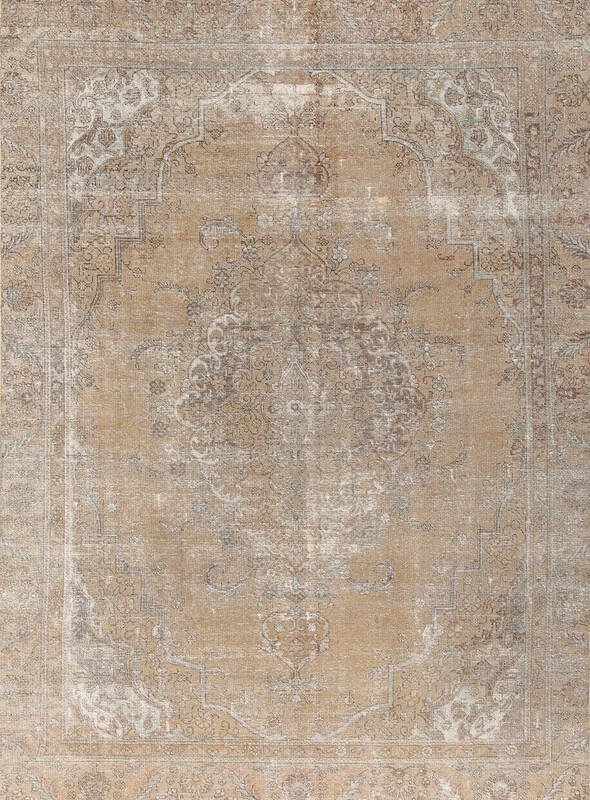 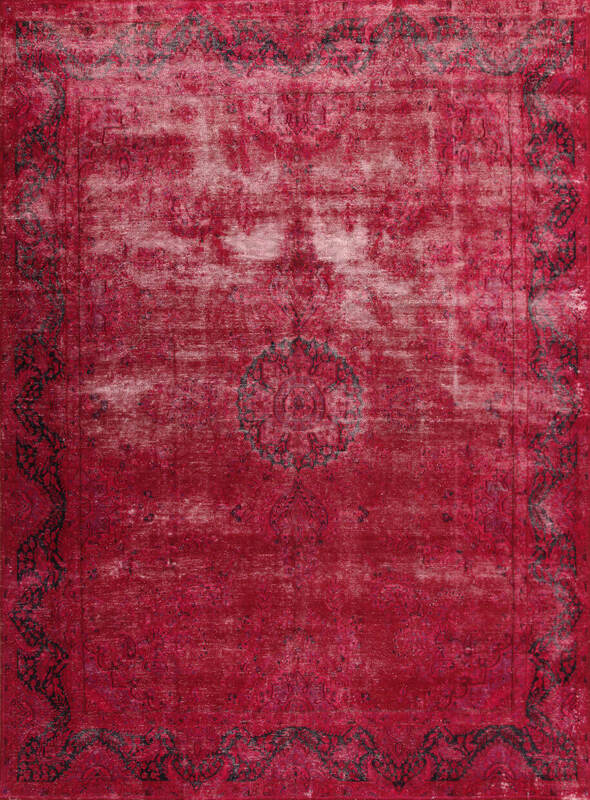 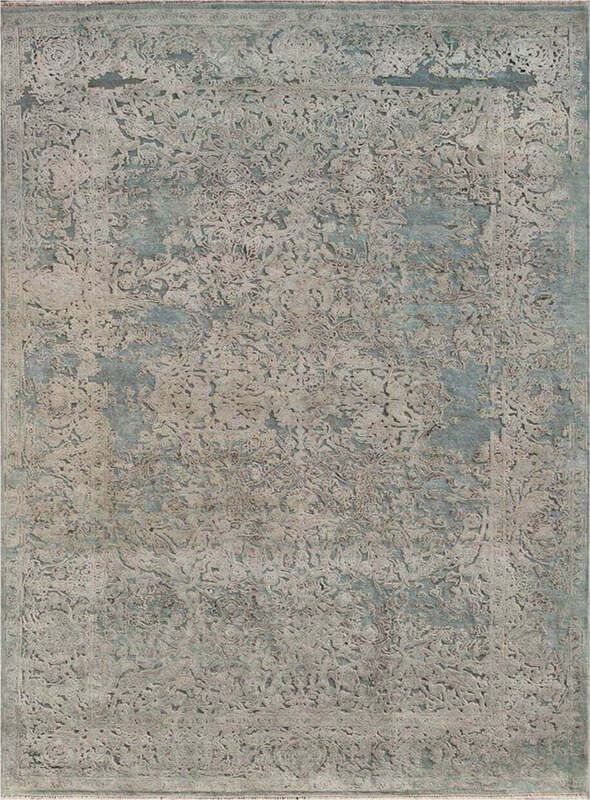 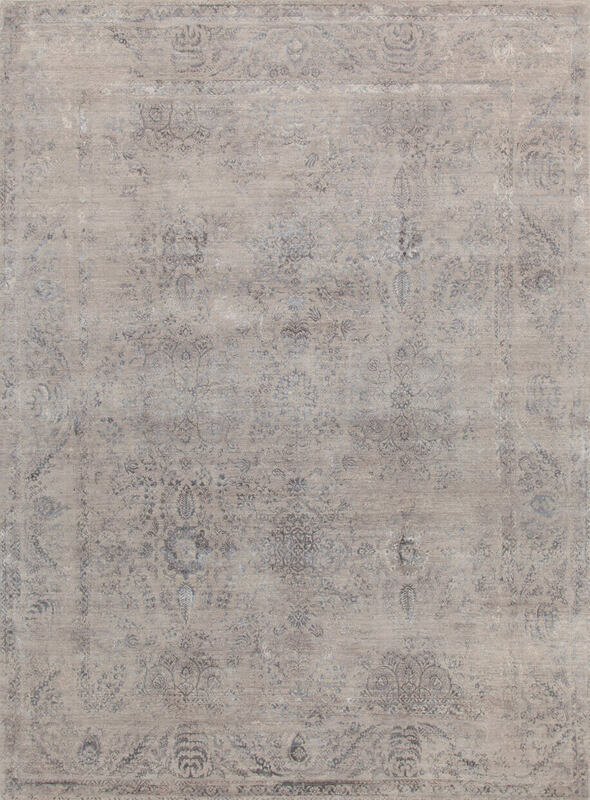 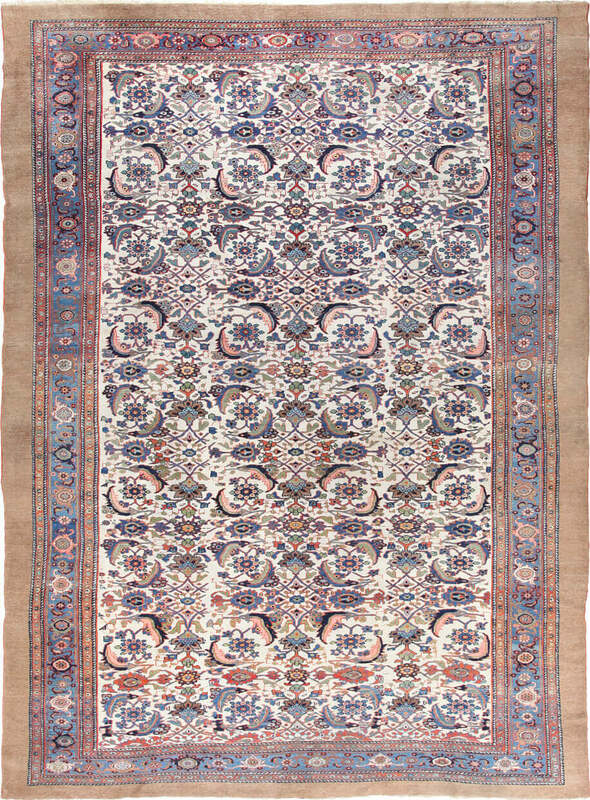 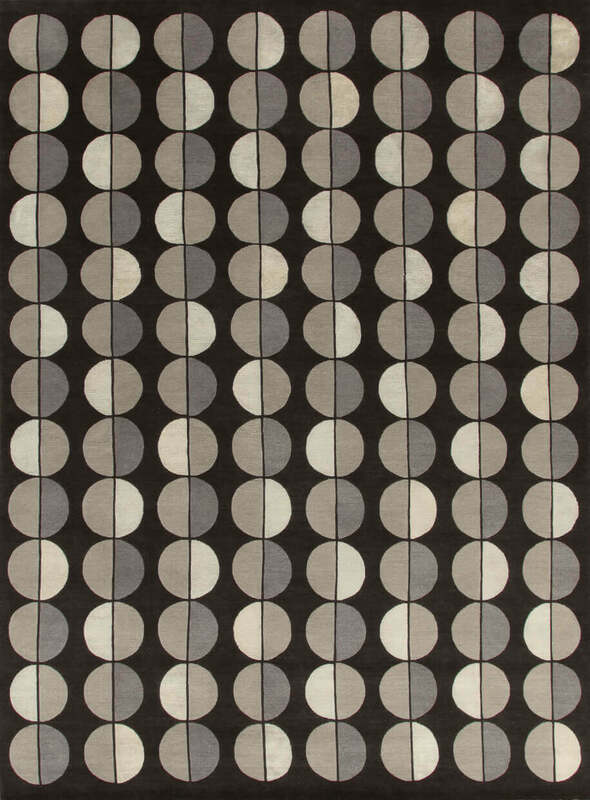 Amini retraces and explores this intense, rich history with a wealth of possible developments by creating a line of rugs that combine design creativity and rigorous workmanship. 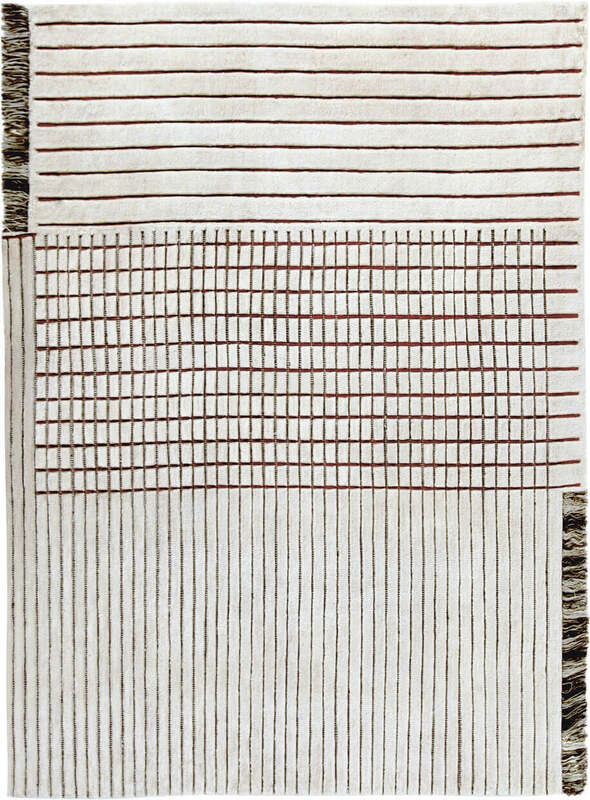 Traces, weaves, scratch marks, furrows, lines. 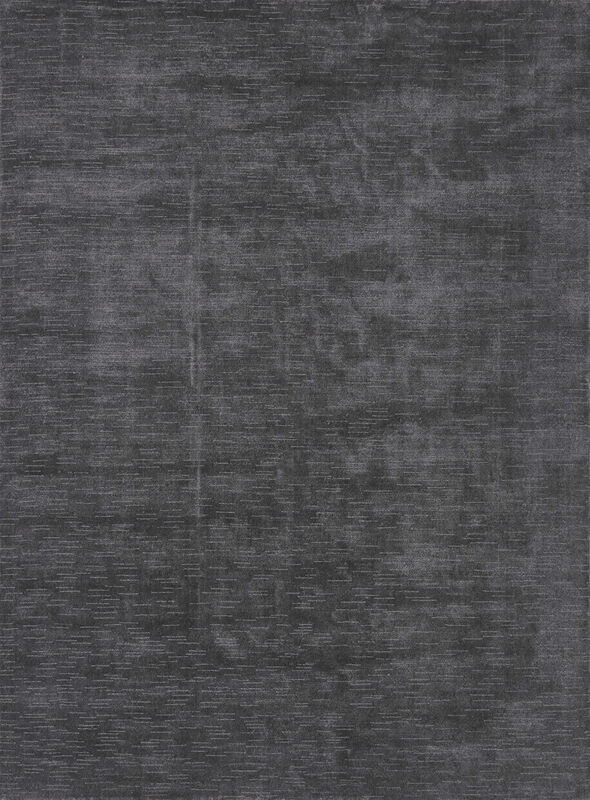 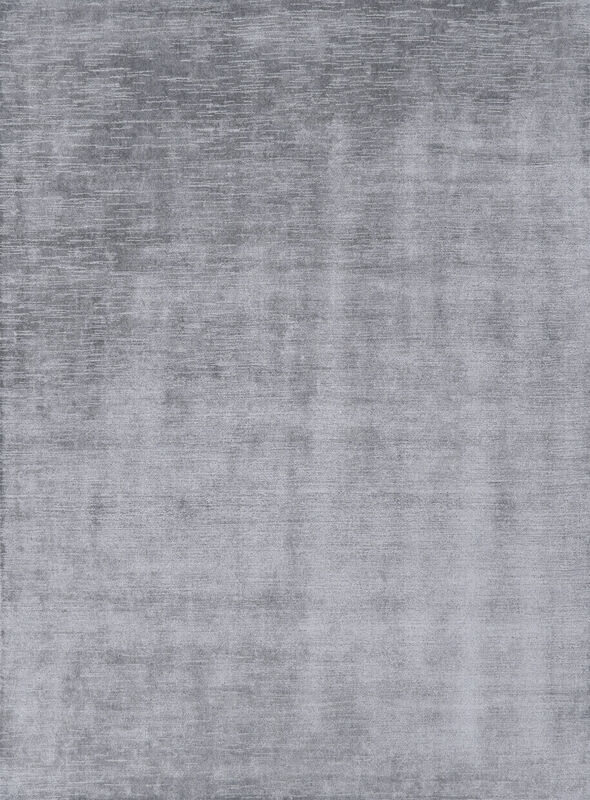 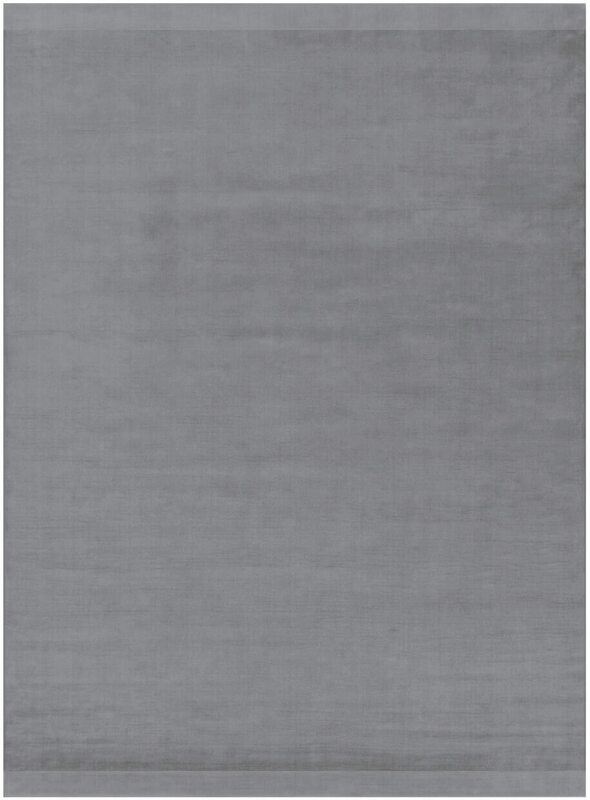 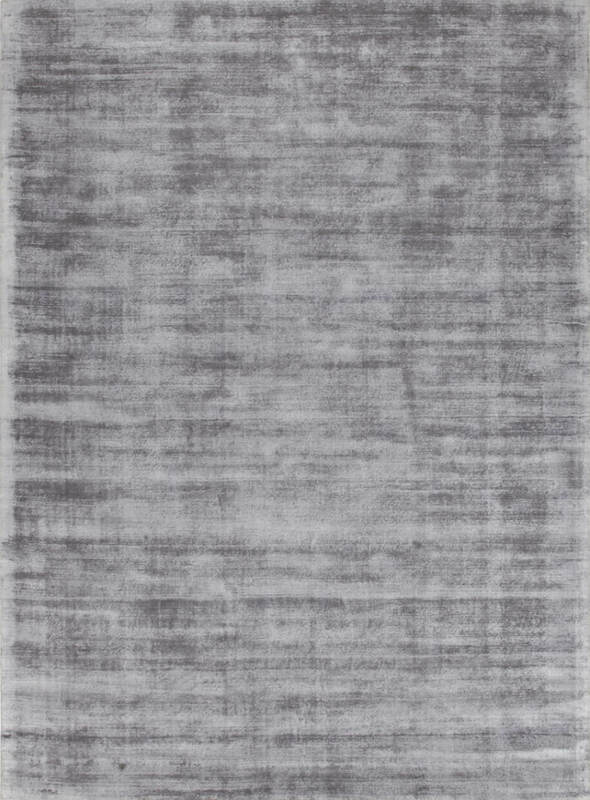 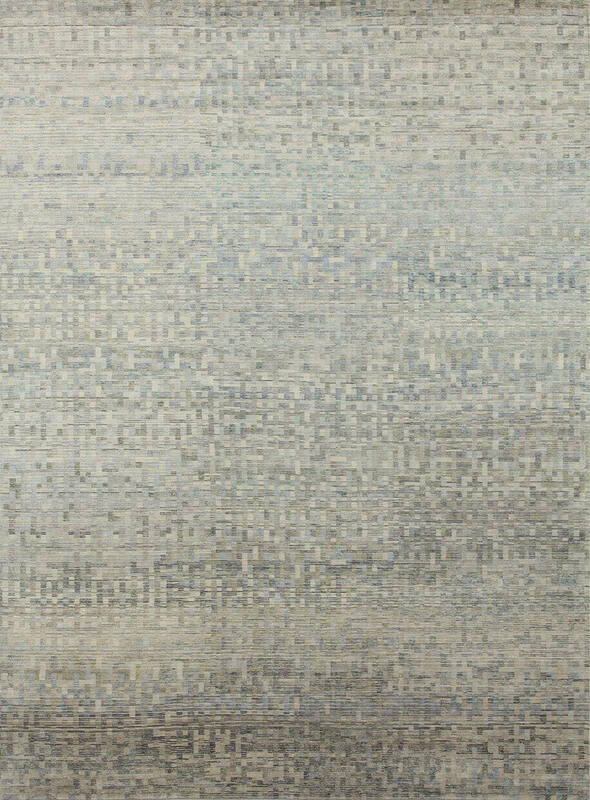 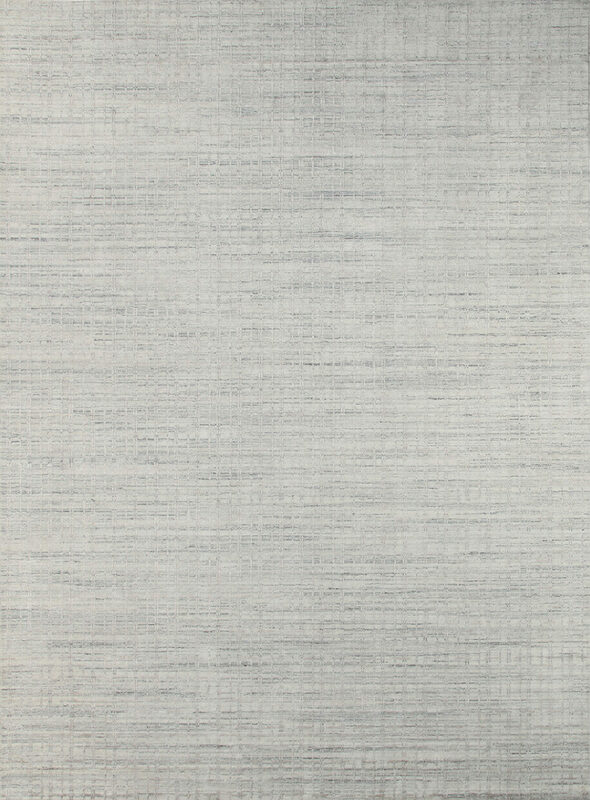 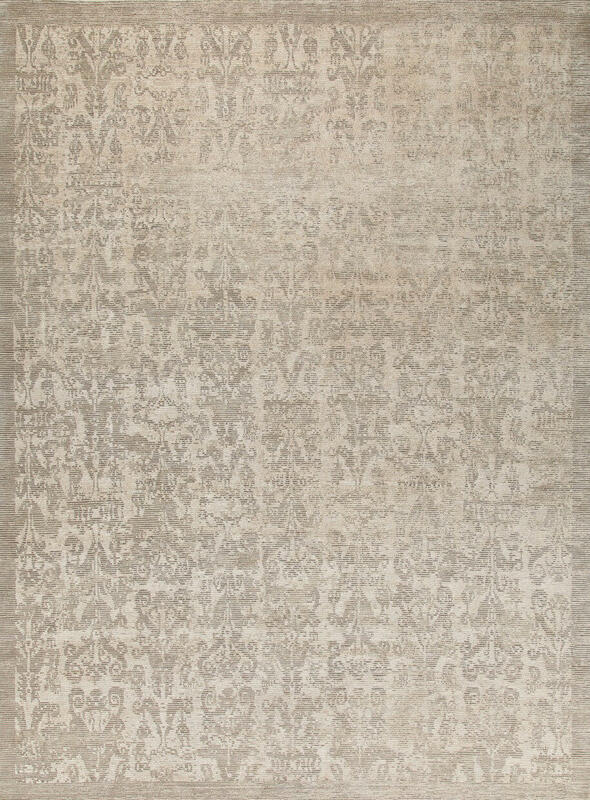 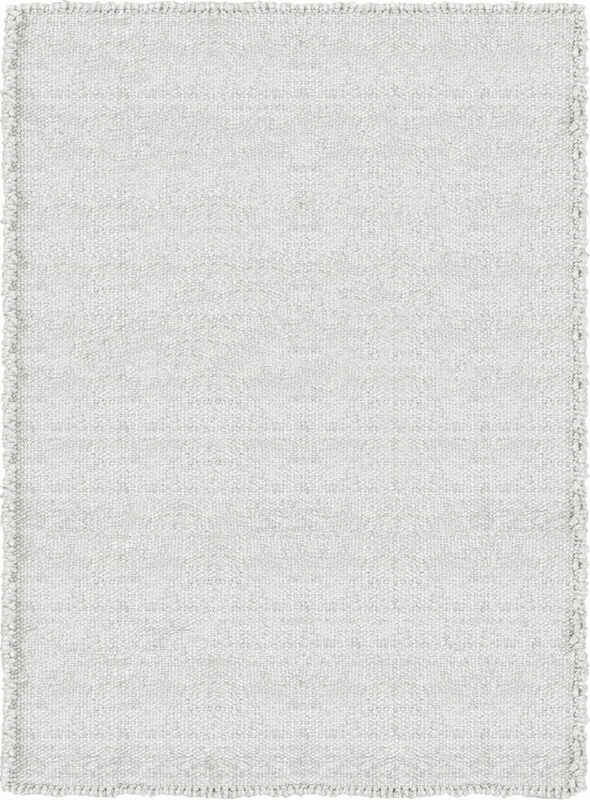 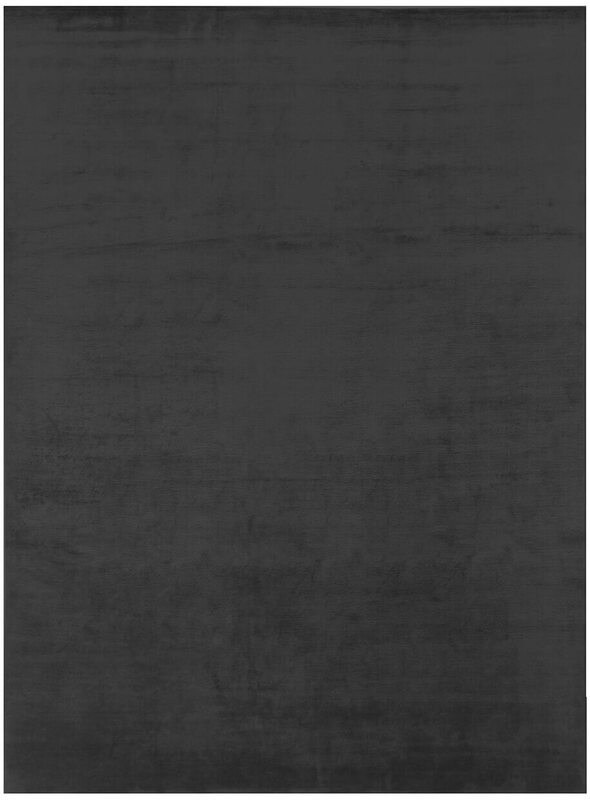 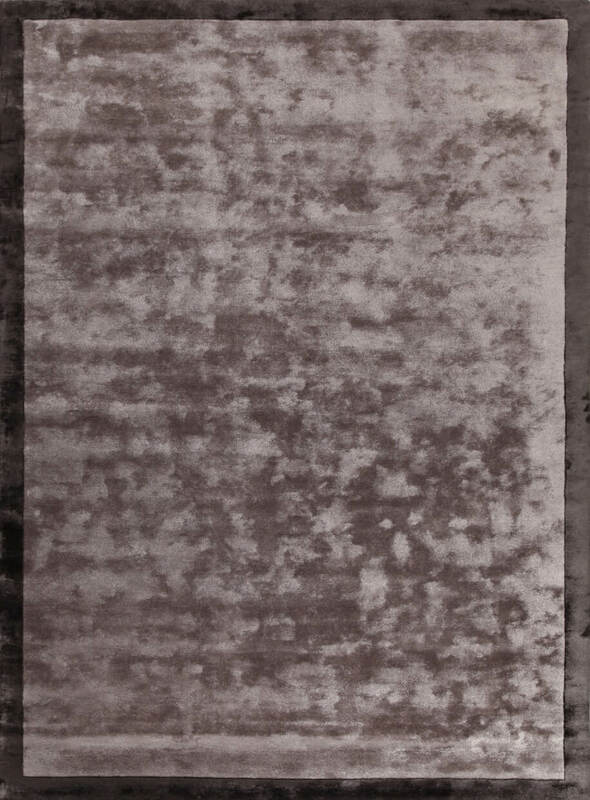 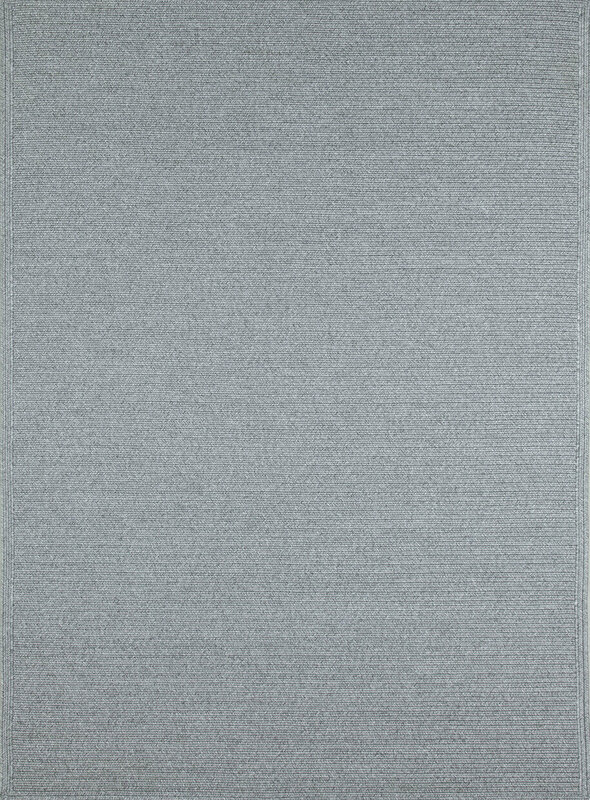 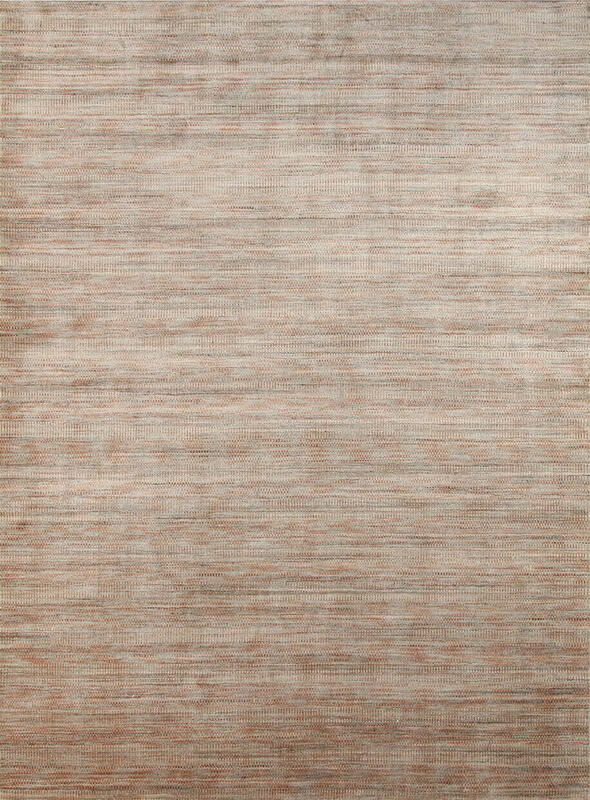 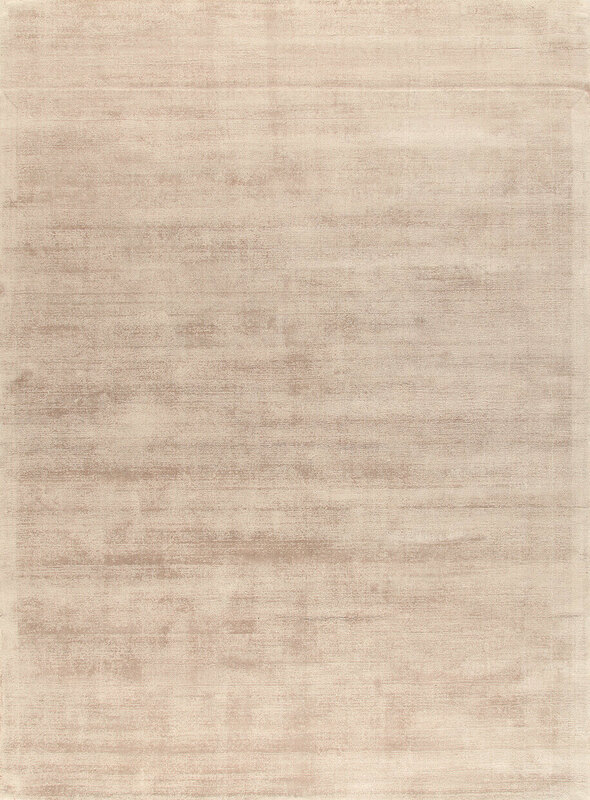 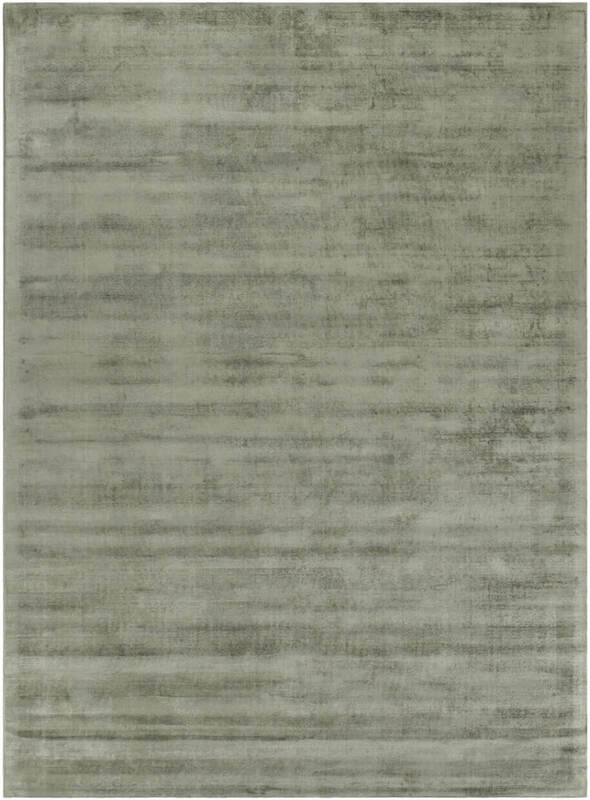 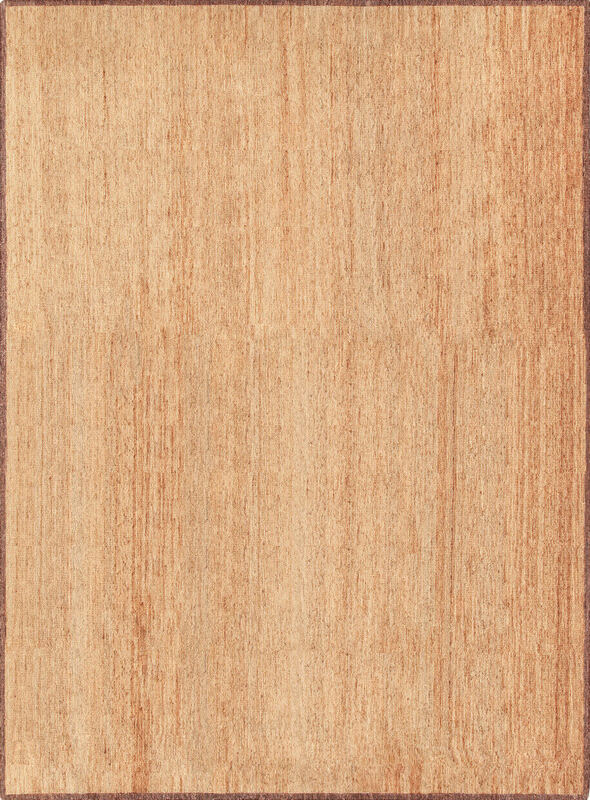 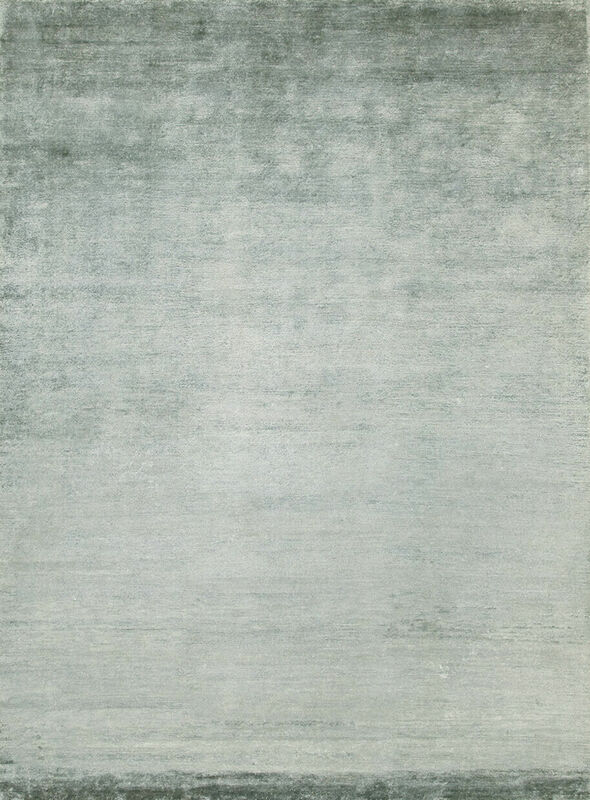 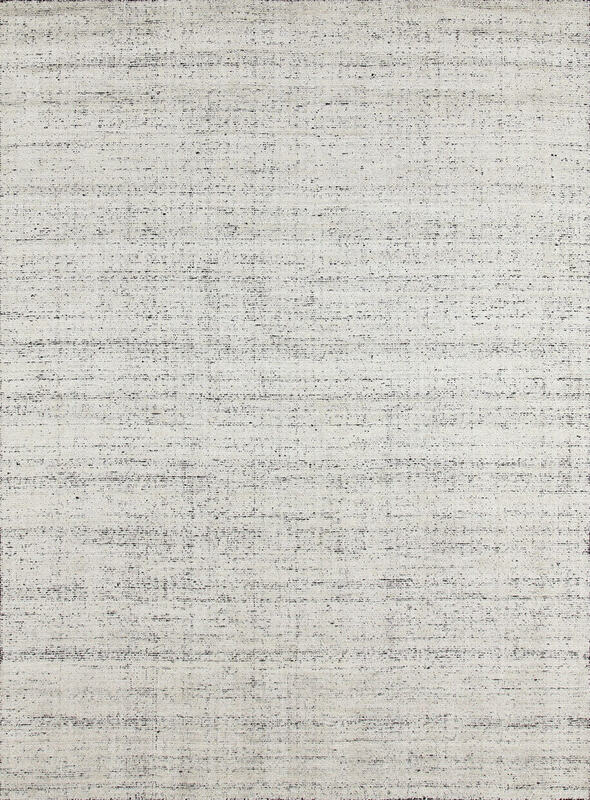 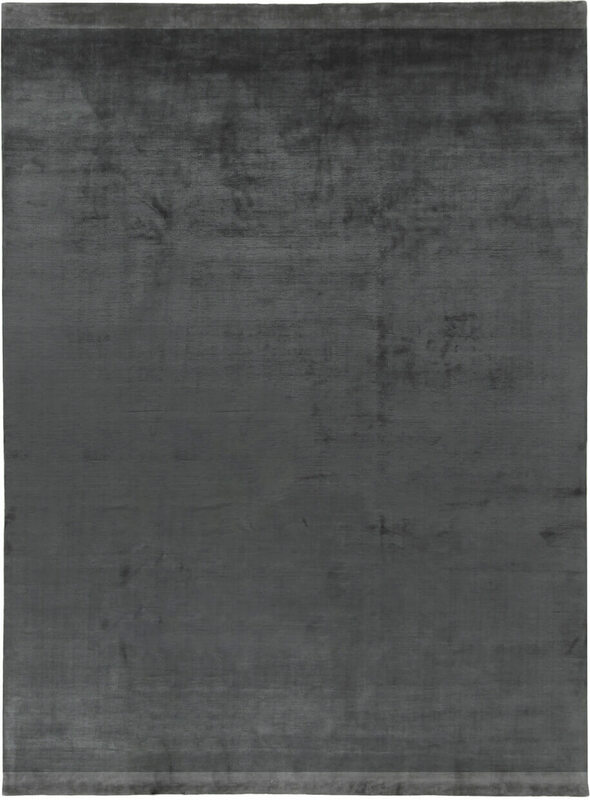 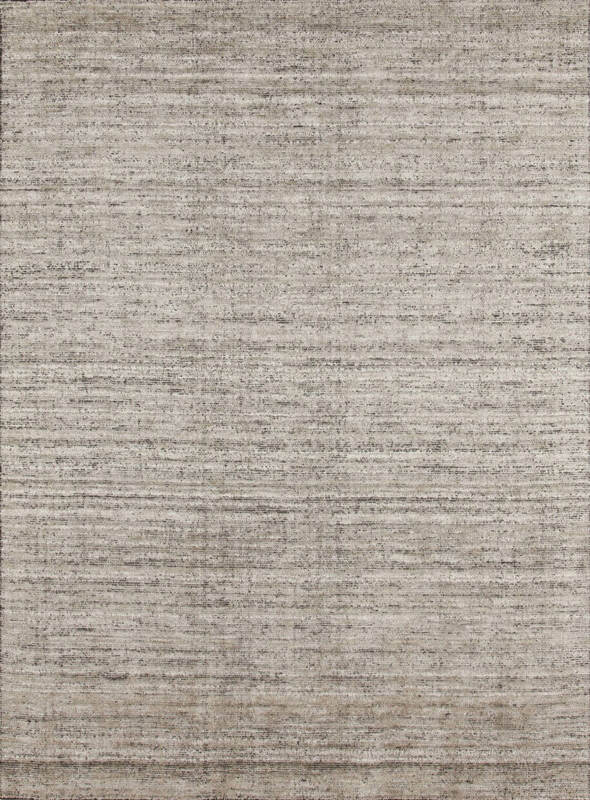 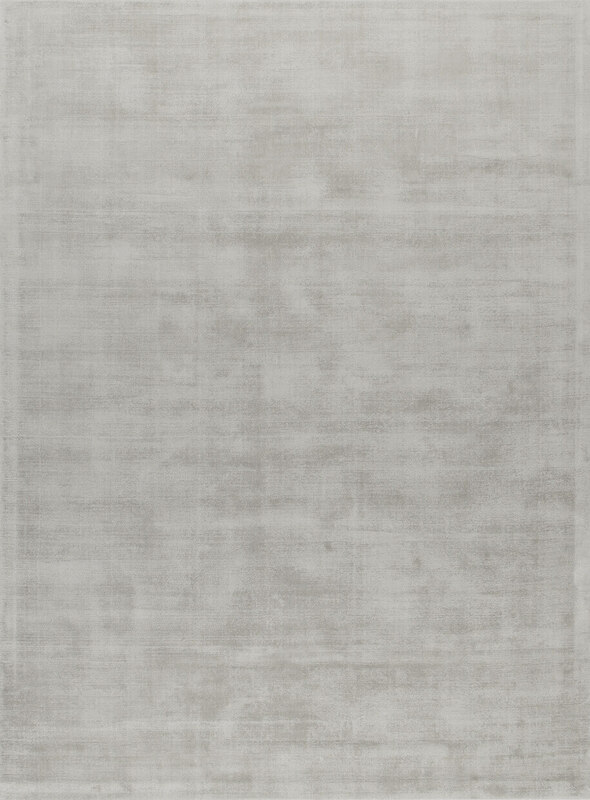 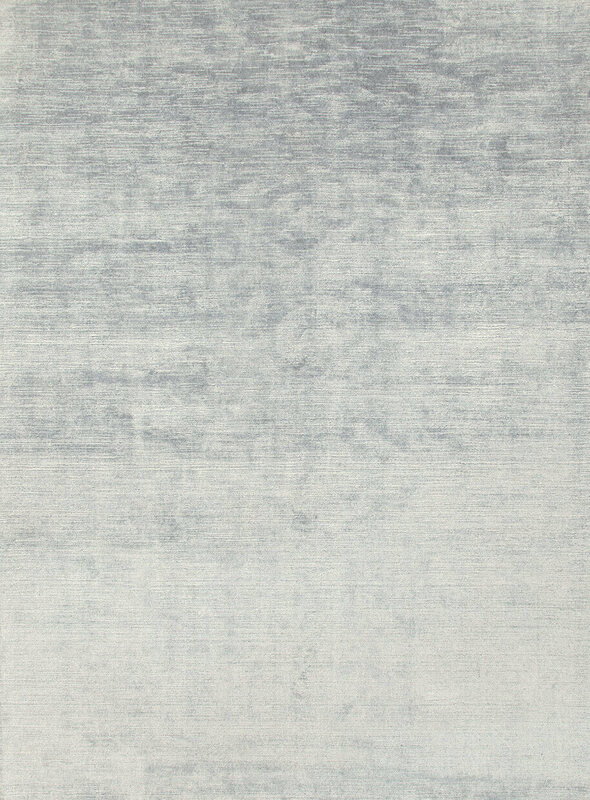 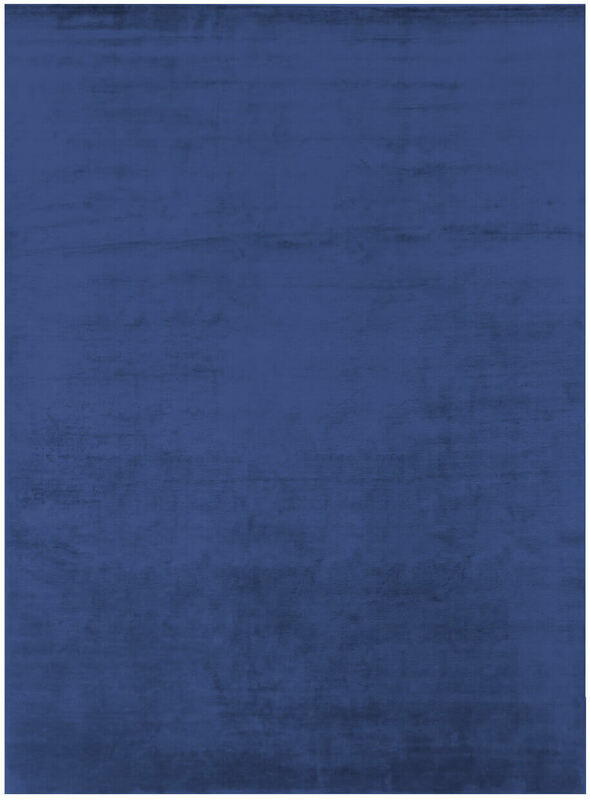 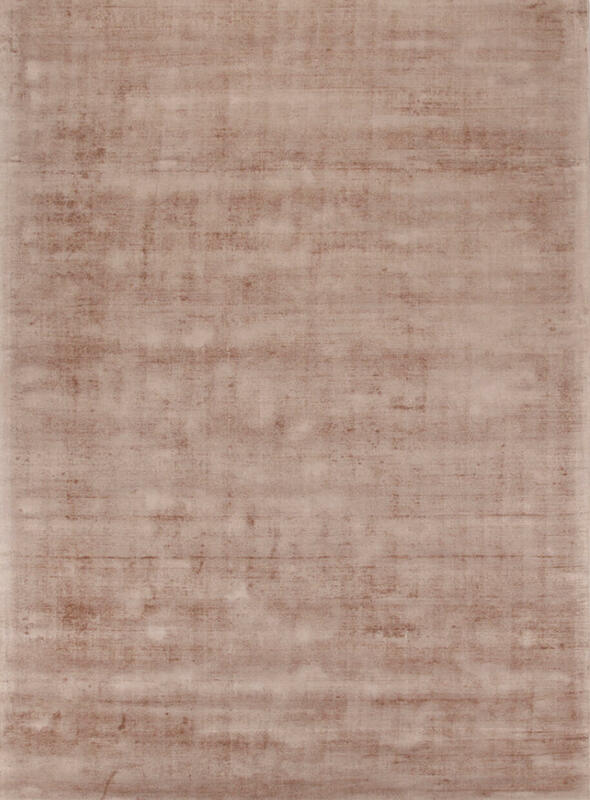 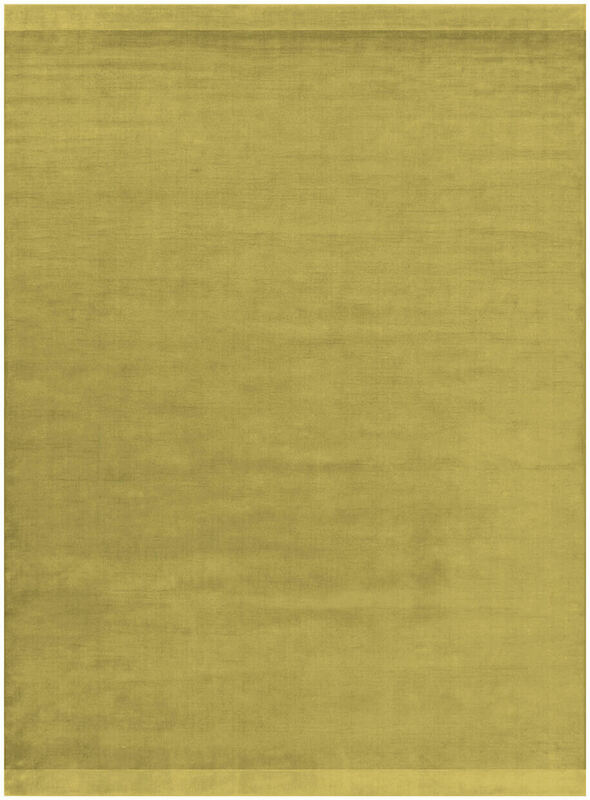 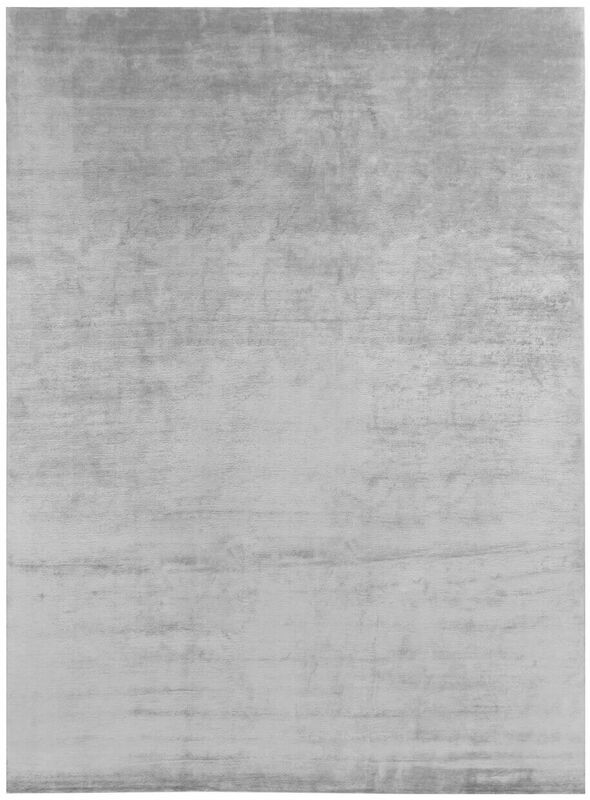 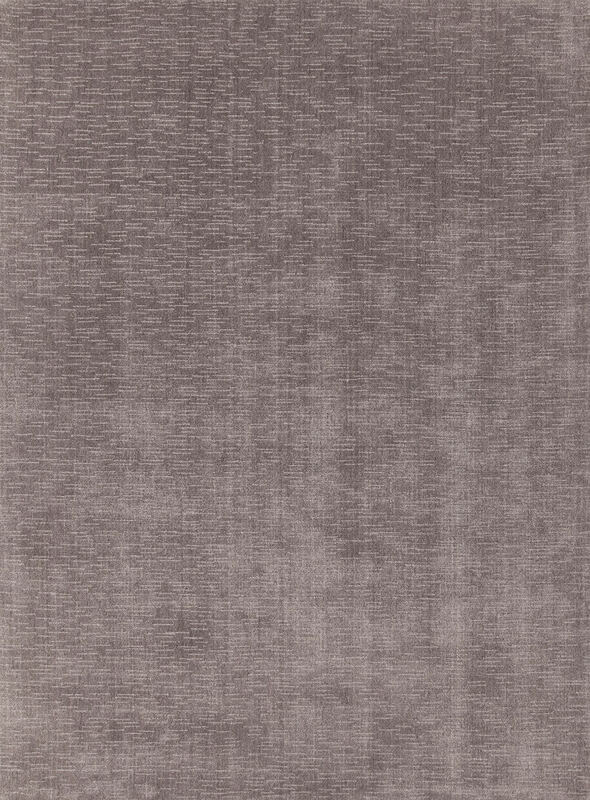 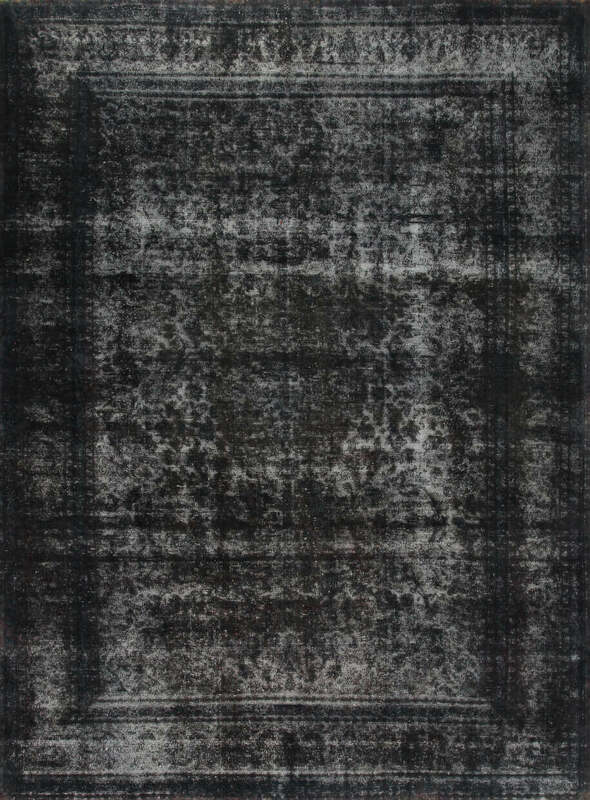 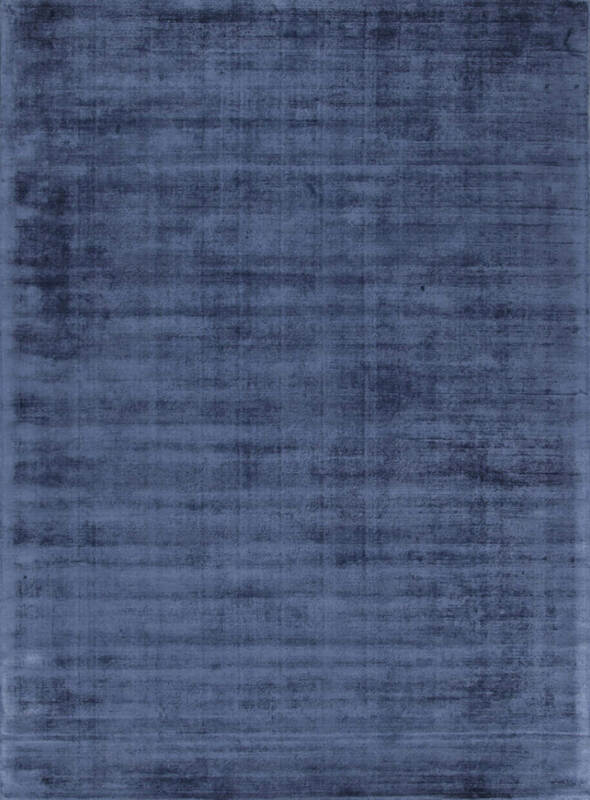 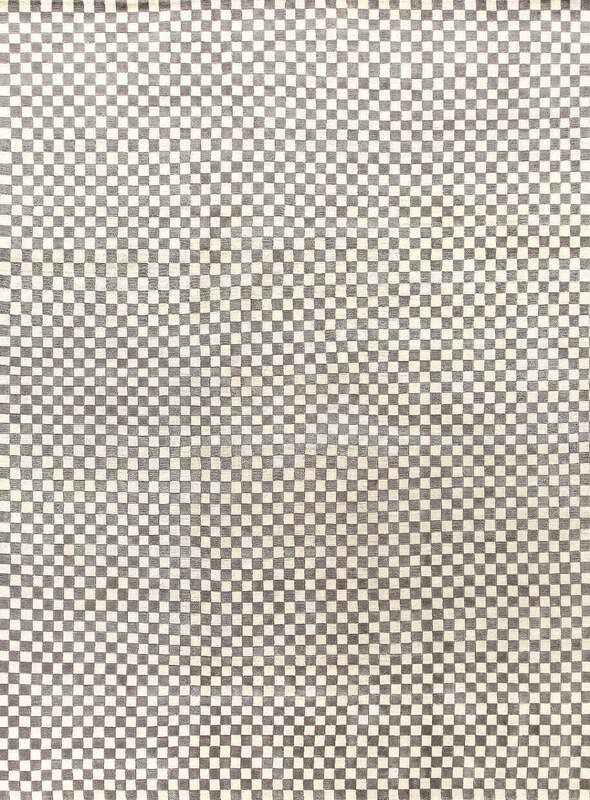 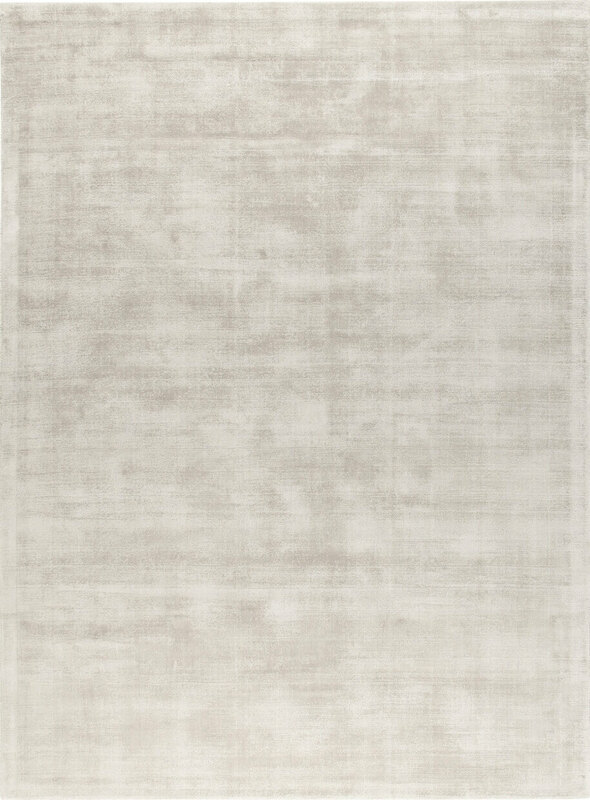 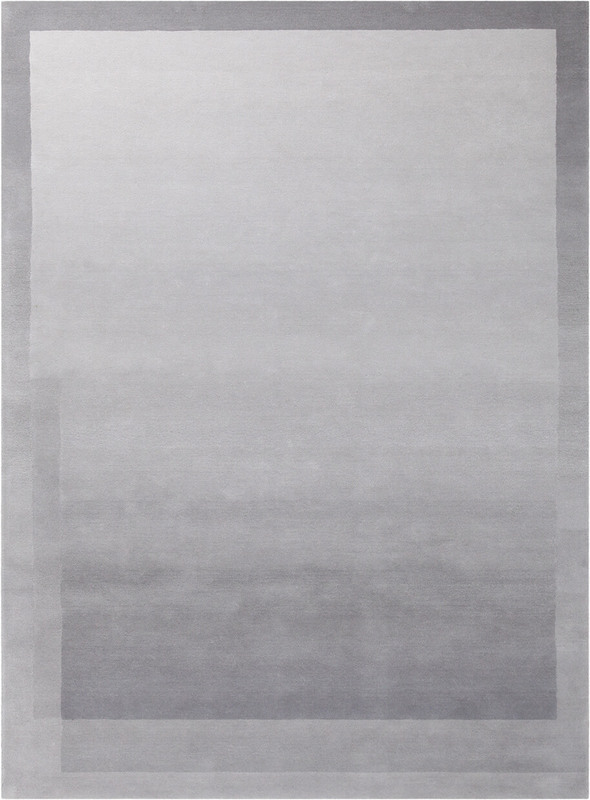 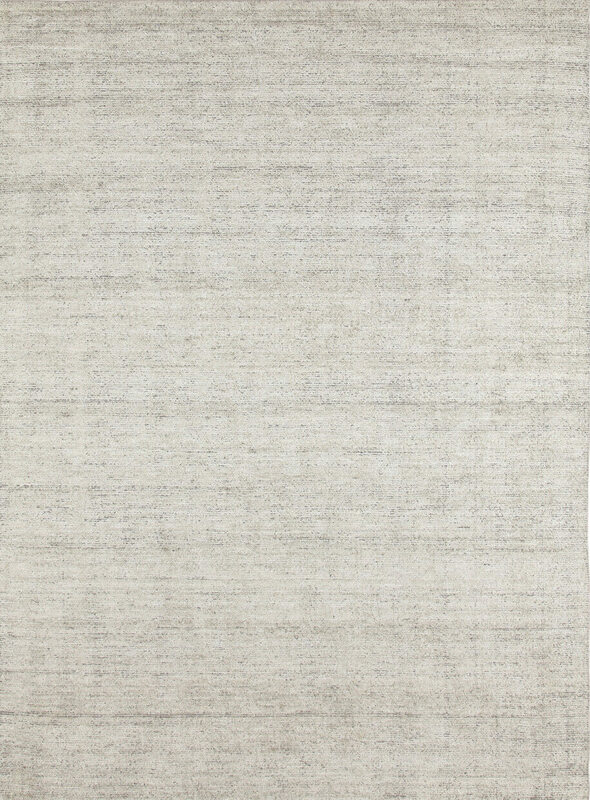 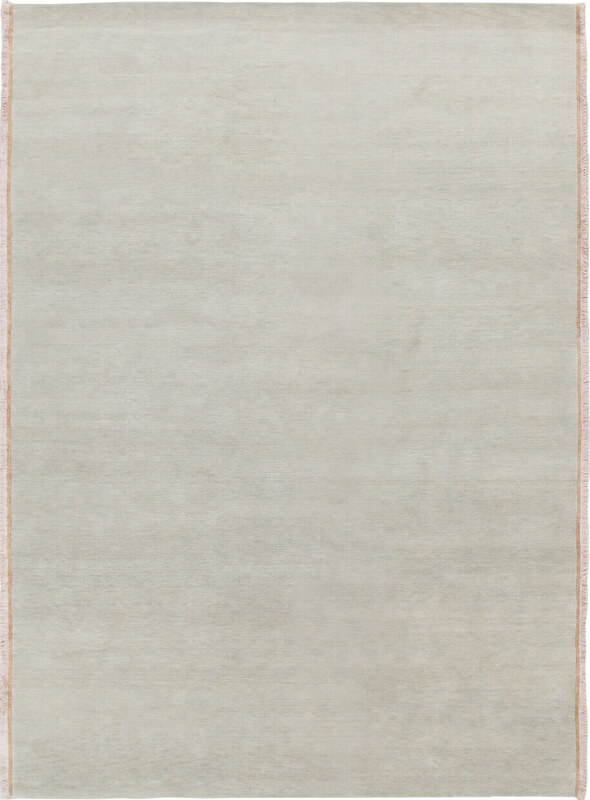 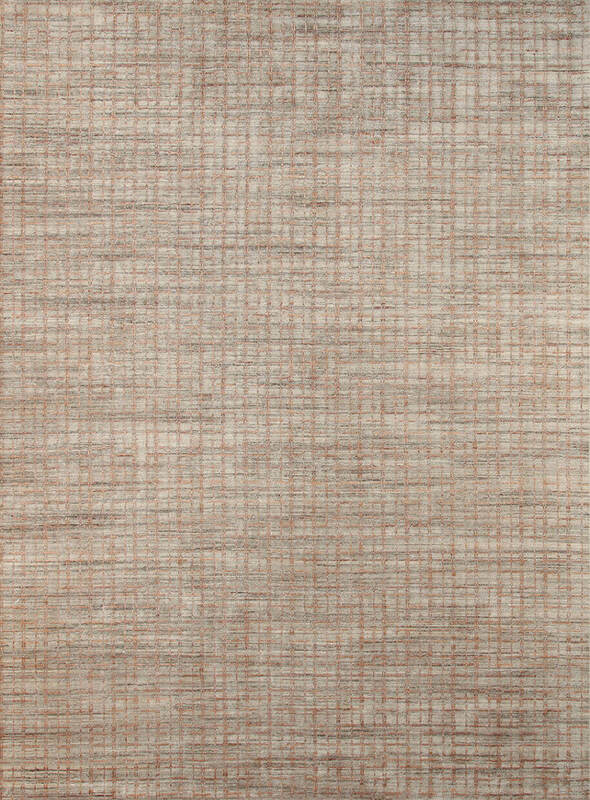 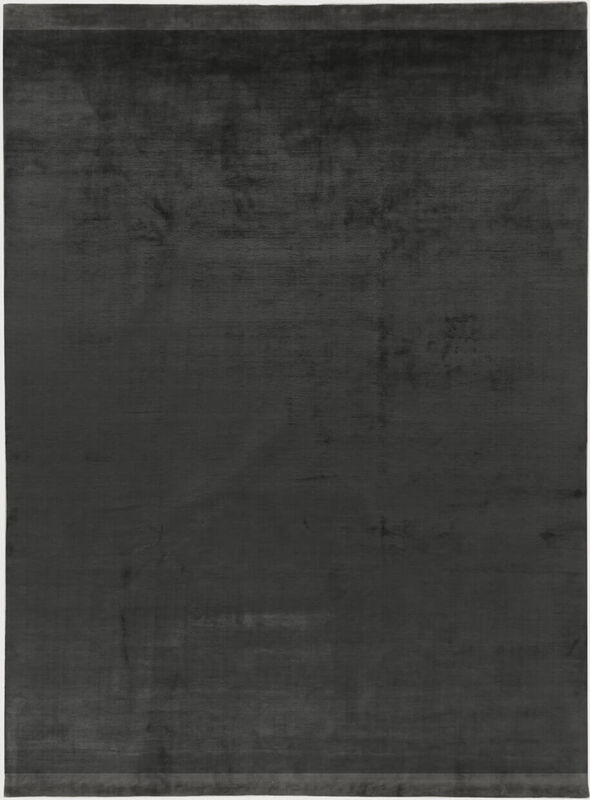 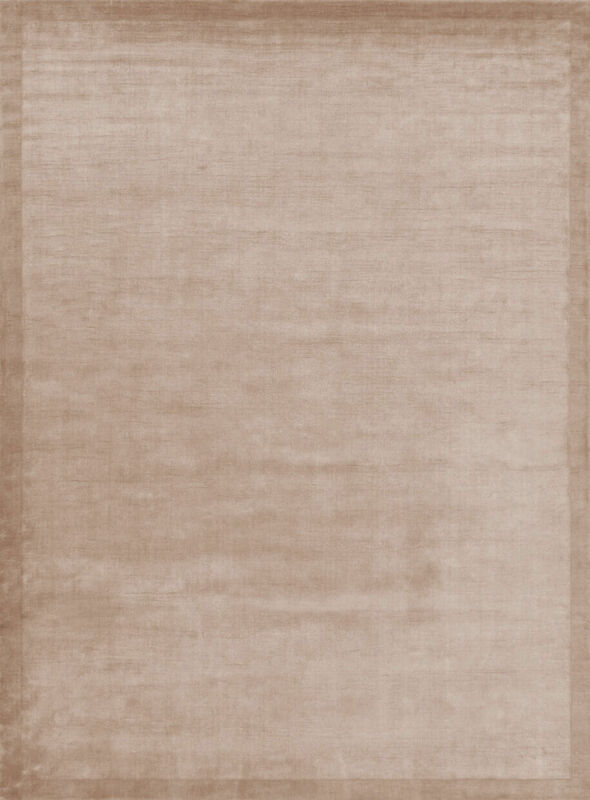 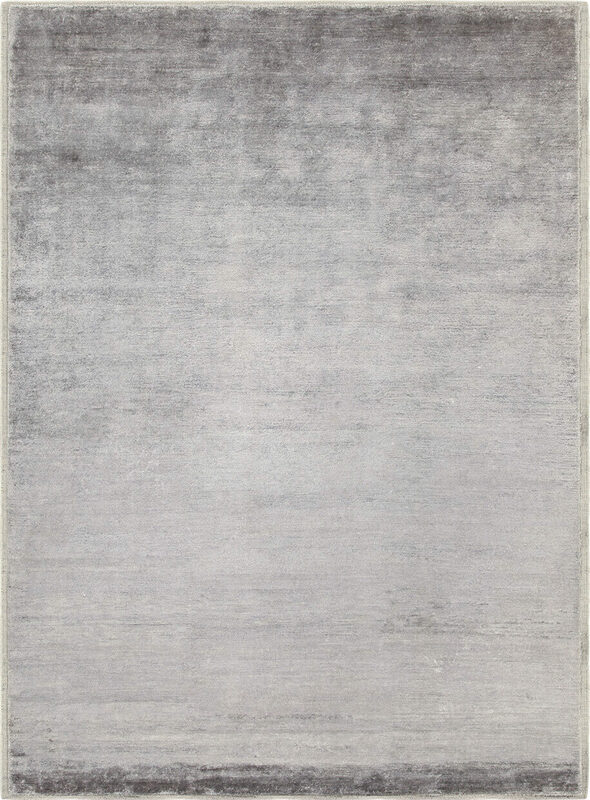 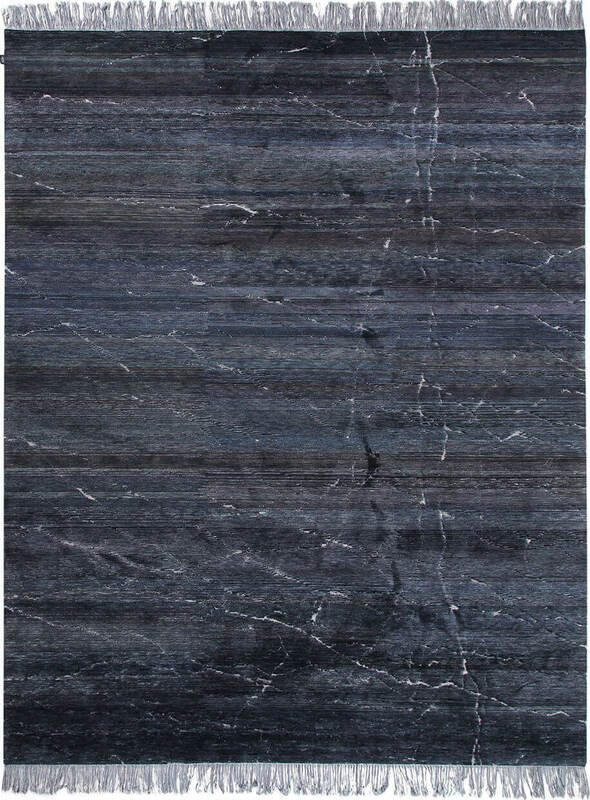 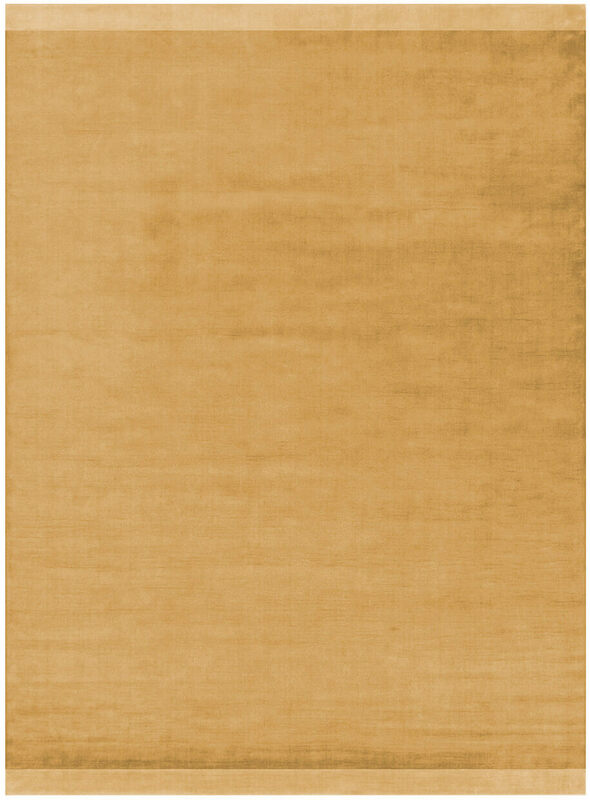 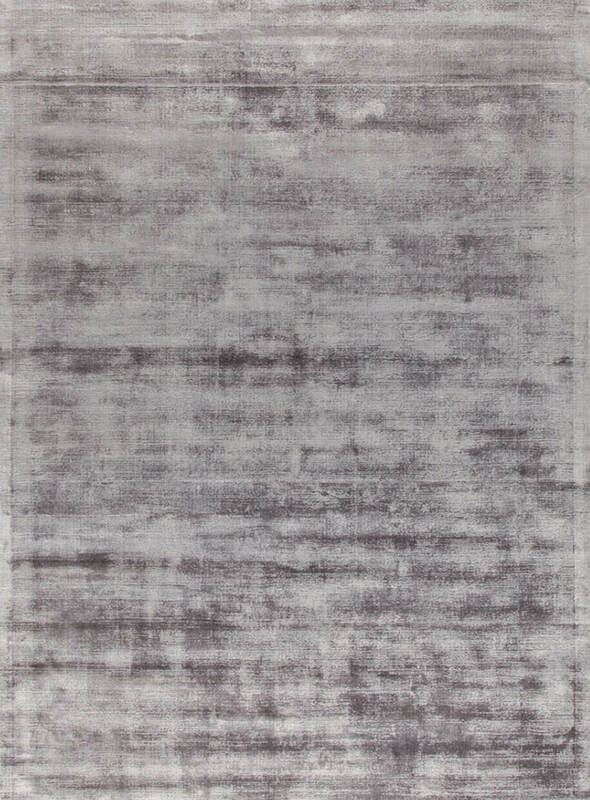 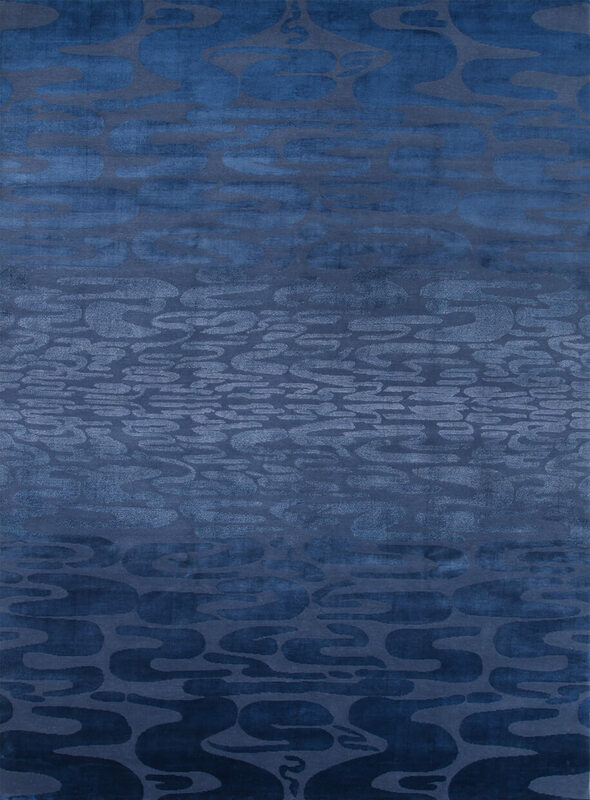 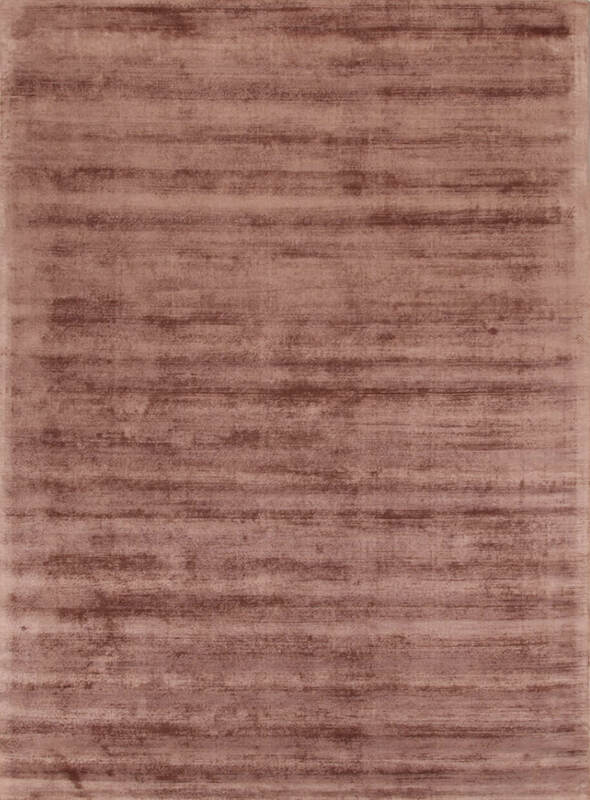 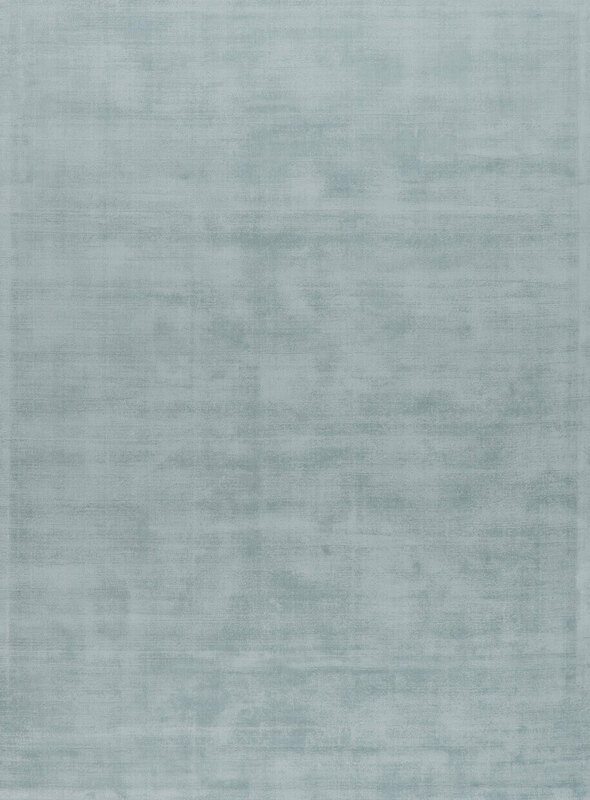 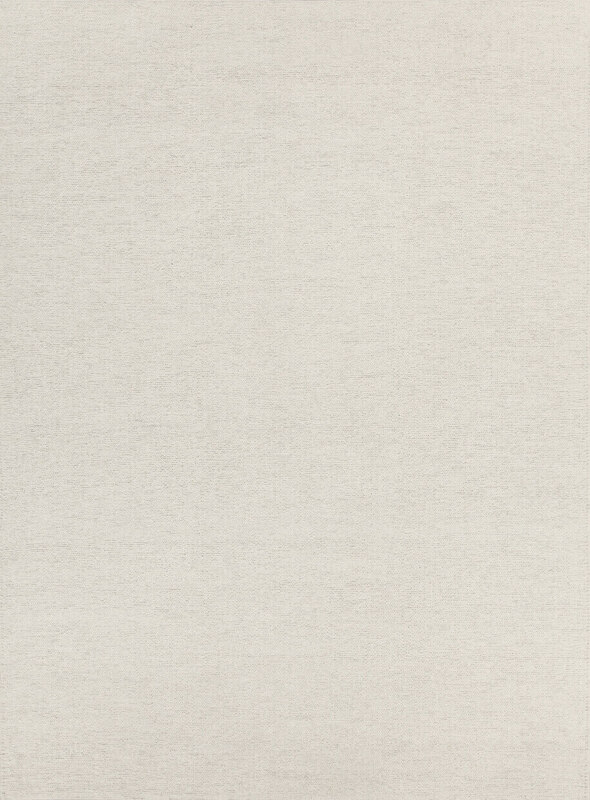 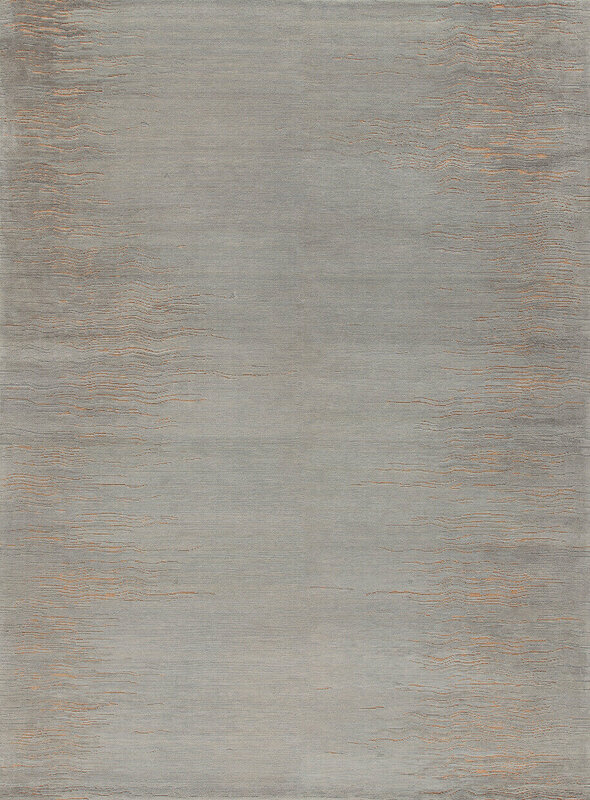 Nature and its manifestations are the main source of inspiration for this series with a taste for minimalism, as evidenced by the names of the mostly monochromatic carpets that stand out for their in-depth exploration of innovative color palettes and materials. 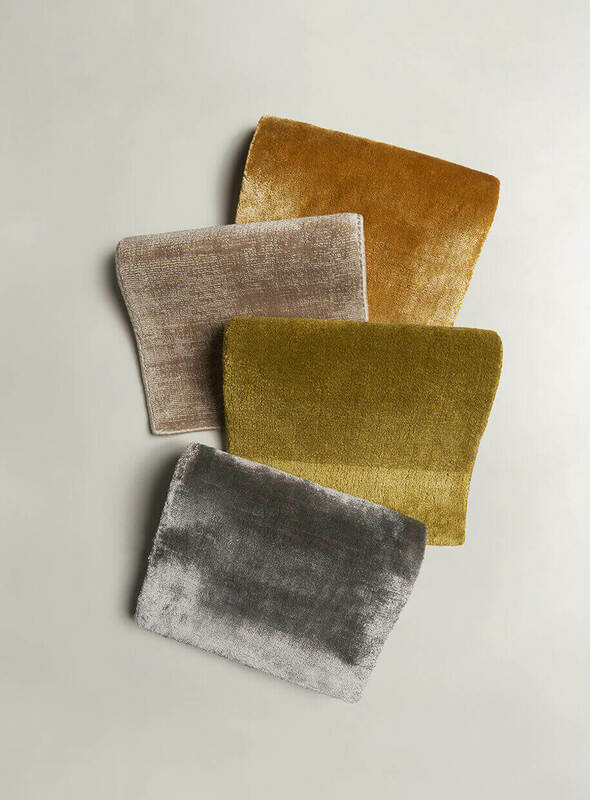 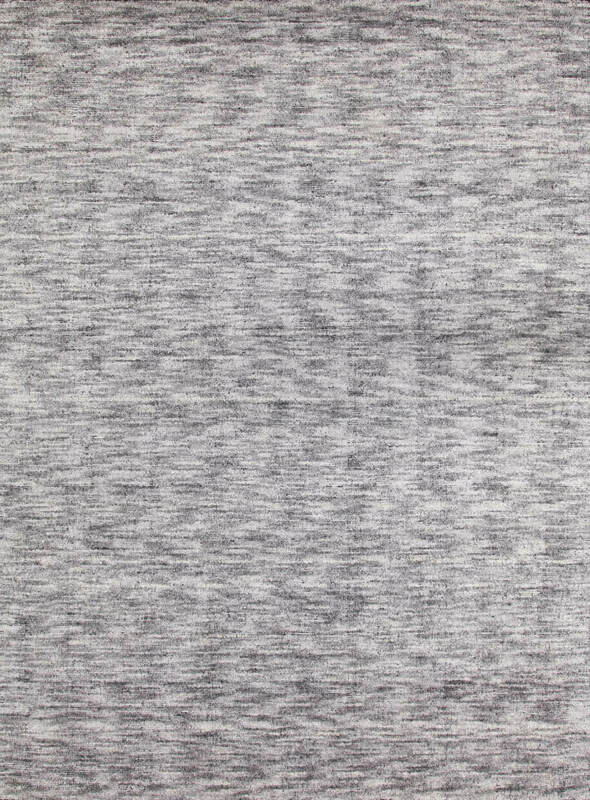 From viscose to bamboo silk, from wool to banana silk, each material is associated with the best texture in order to heighten the sense of appreciation for its features and quality. 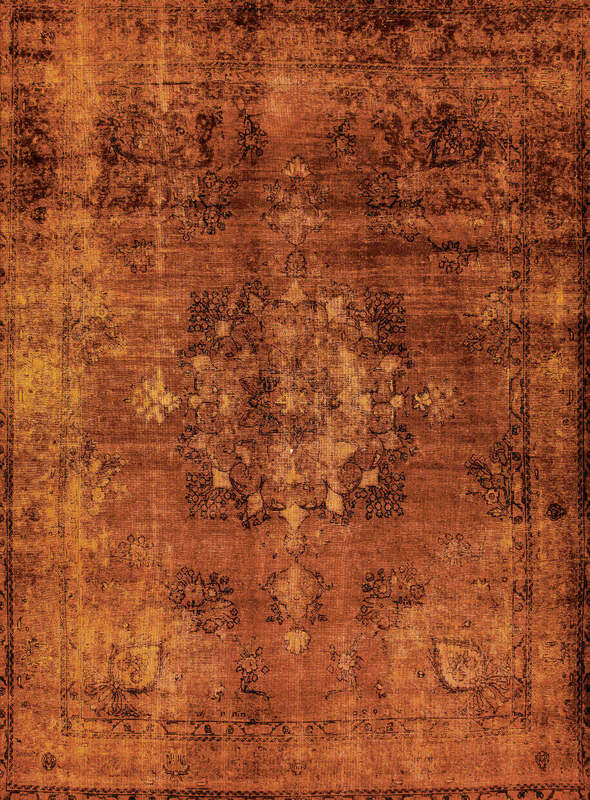 Carpets with a past of great charm, who find their full place in the modern world thanks to special treatments and colors. 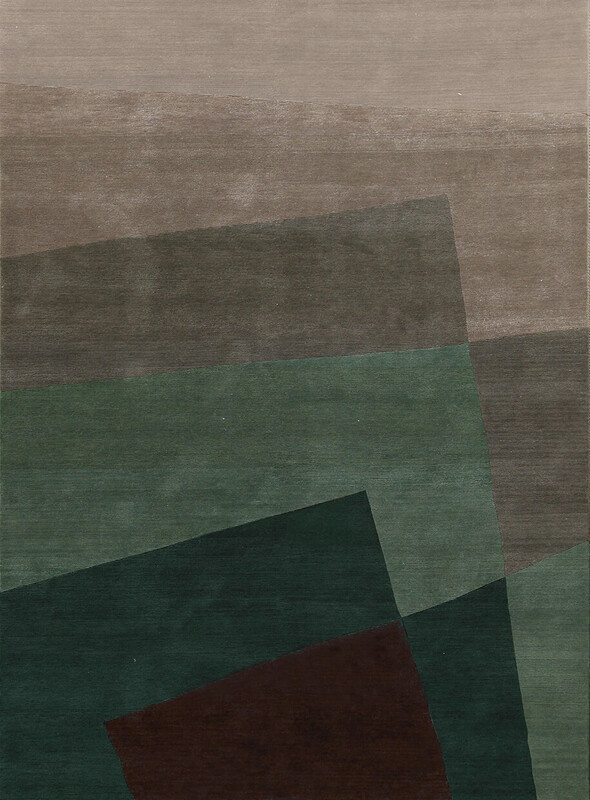 These are Revive and Broccato collections, both consisting in an evolving series of unique pieces, made from classical basis. 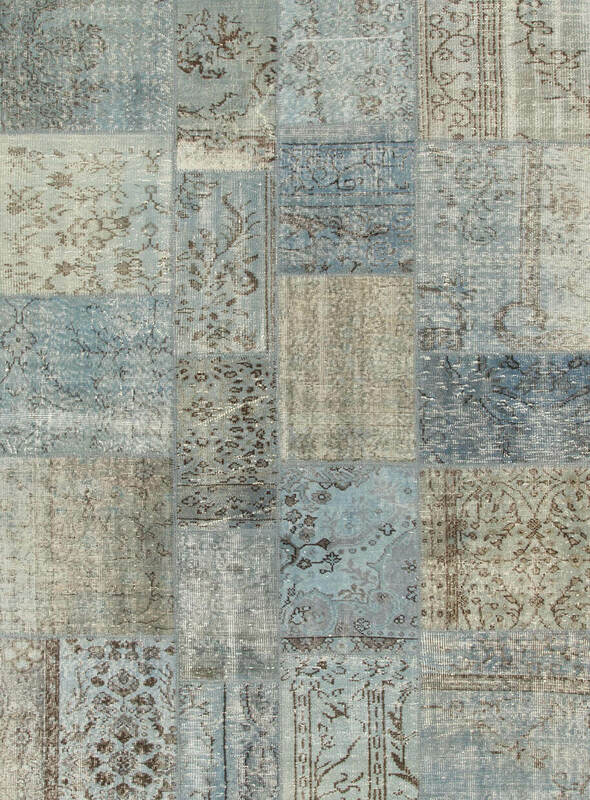 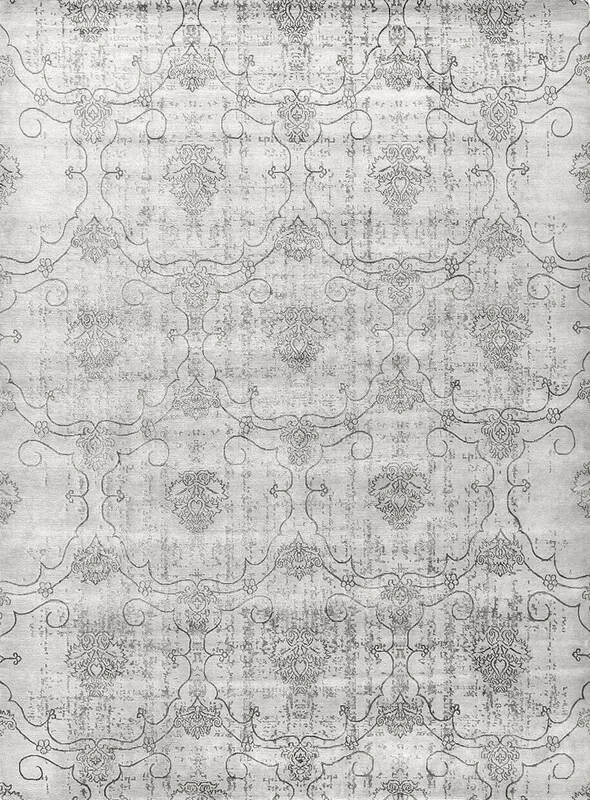 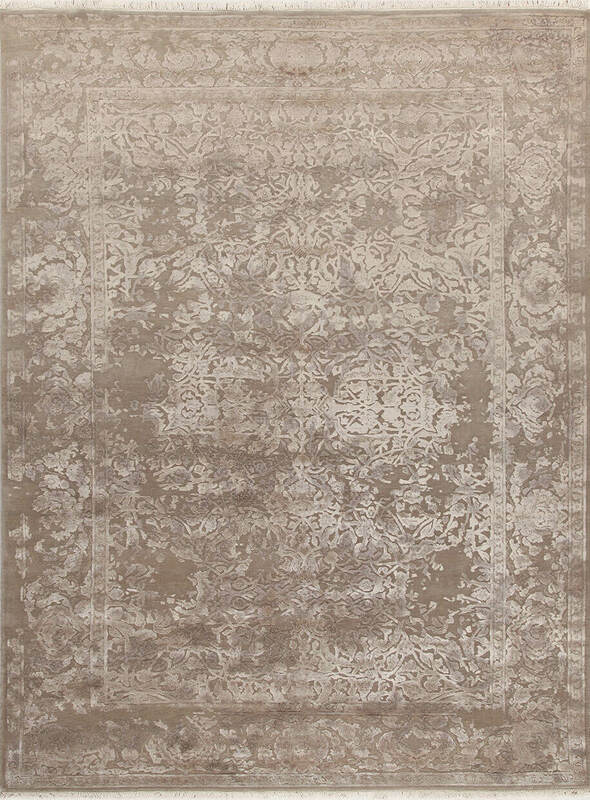 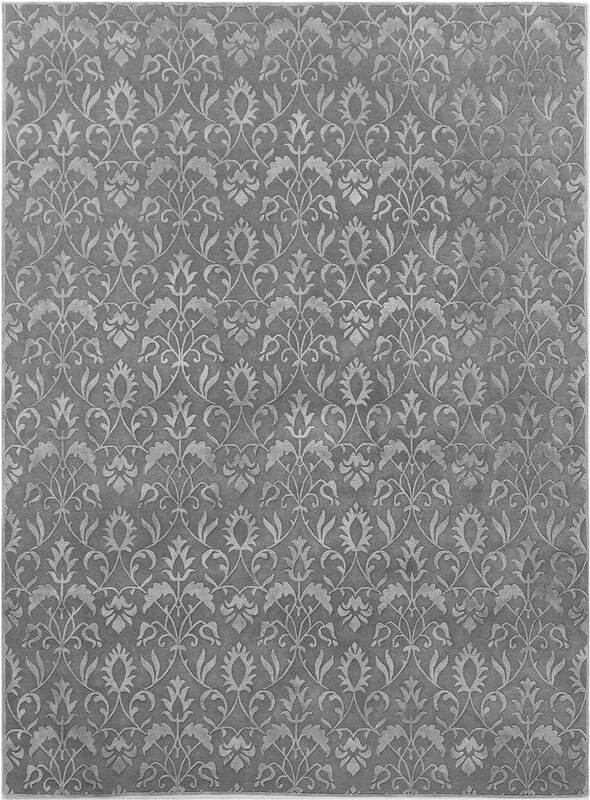 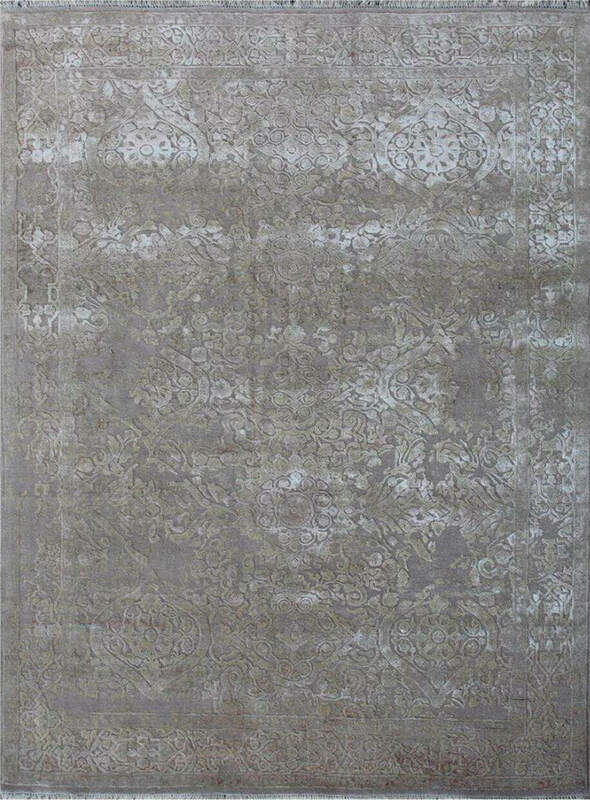 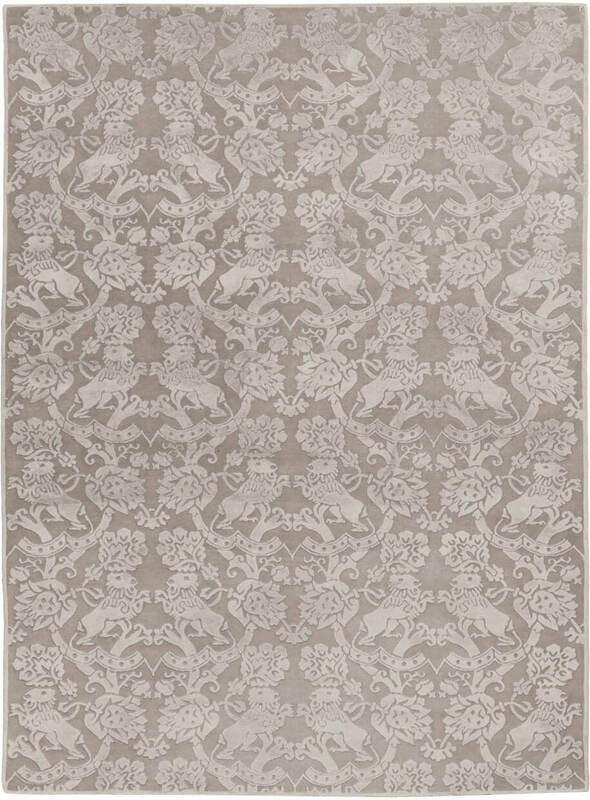 Inspired by antique walls of Venetian palaces the Broccato collection tells the stories of faded wall decorations but eternal elegance. 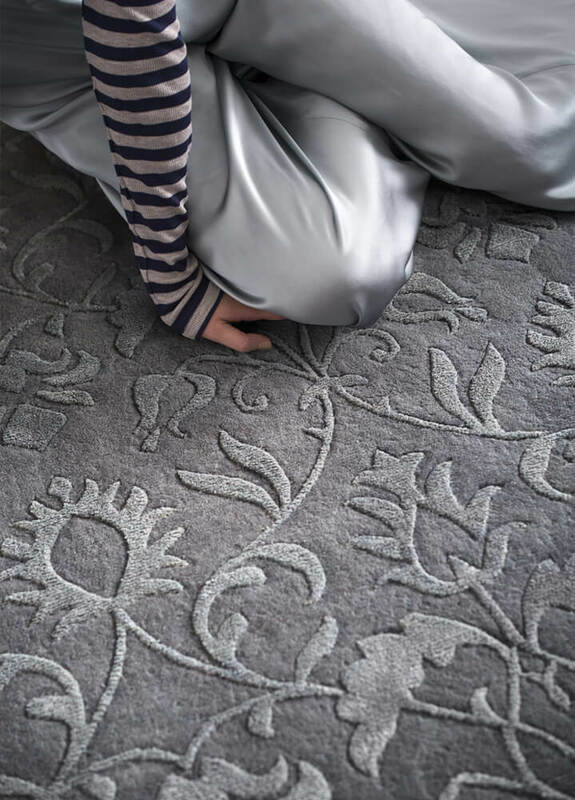 This is a collection whose unabashed intention is to embody the increasingly heartfelt desire to live life in the open air, and to exalt the beauty of outdoor spaces as the natural extension of our indoor settings. 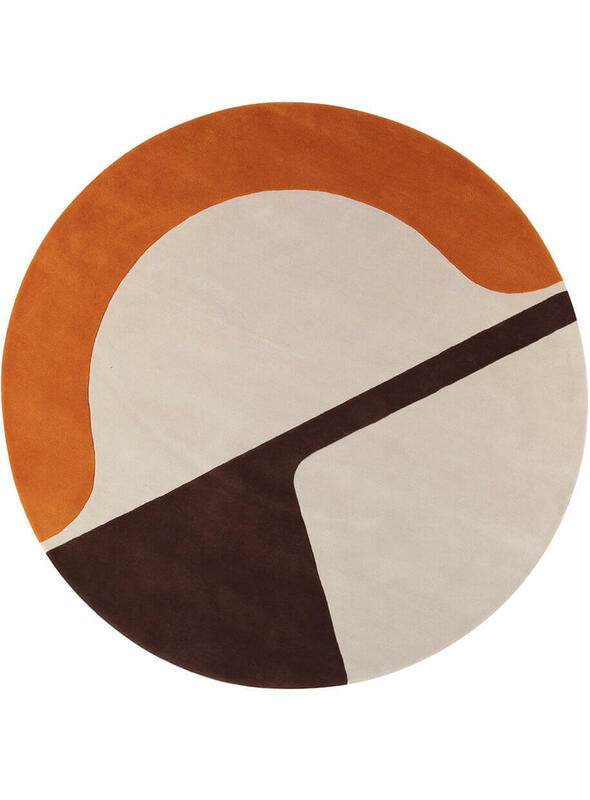 An approach that is expressed in the deliberate choice of surfaces, materials and colors used. 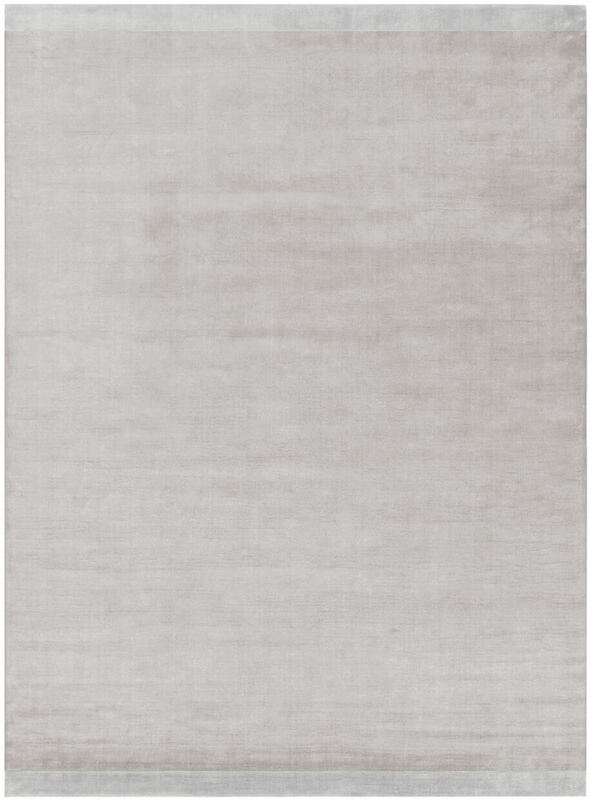 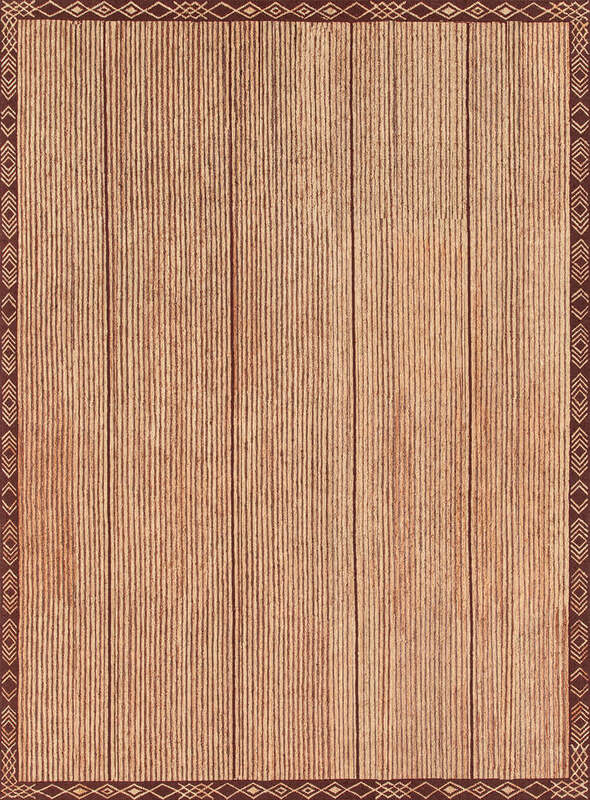 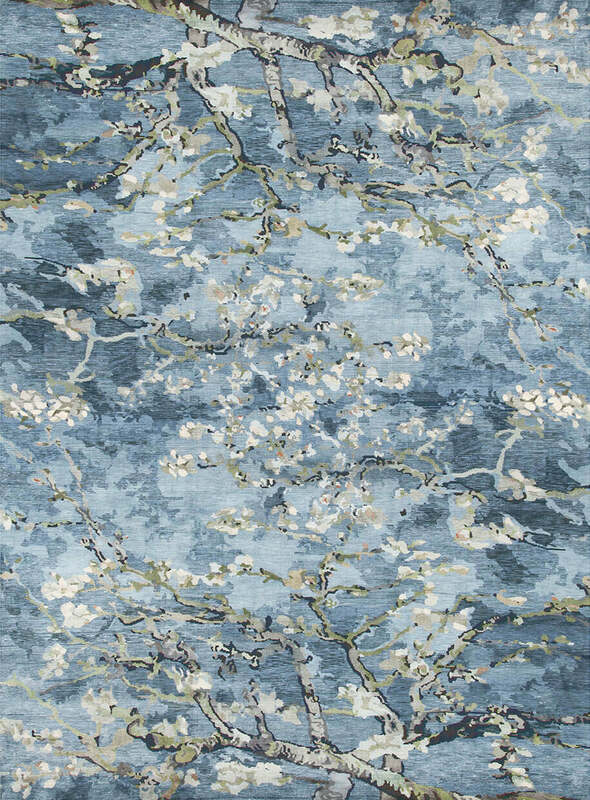 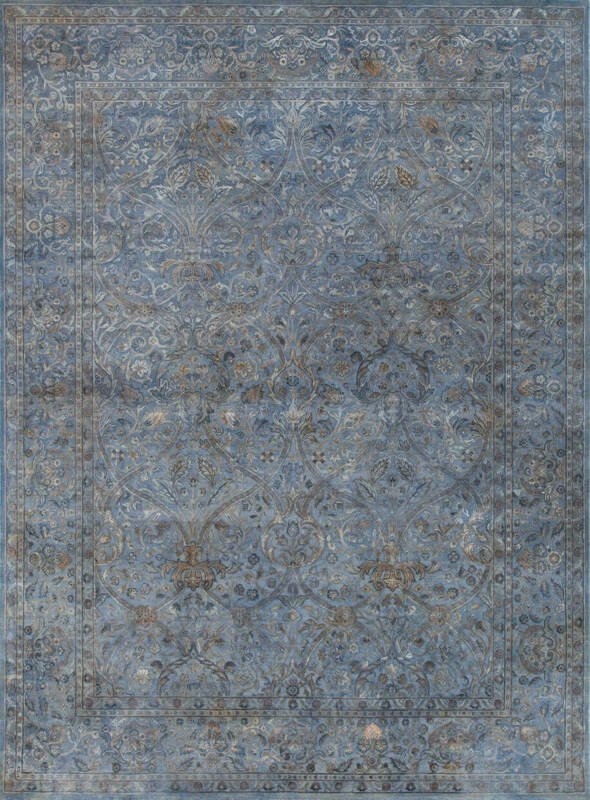 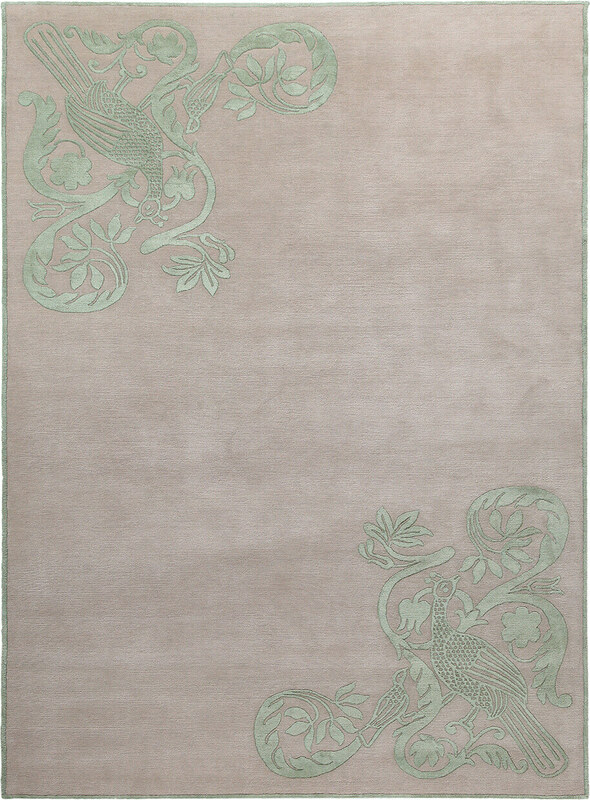 Carpets are no exception to this rule, and become precious furnishing items for outdoor environments as well.